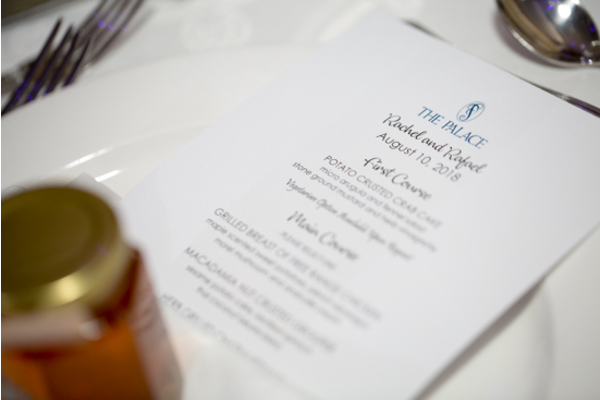 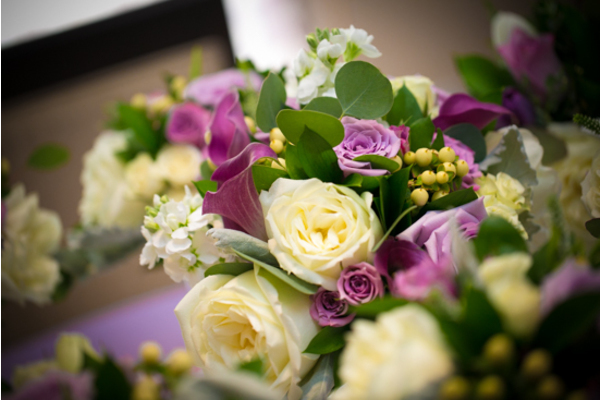 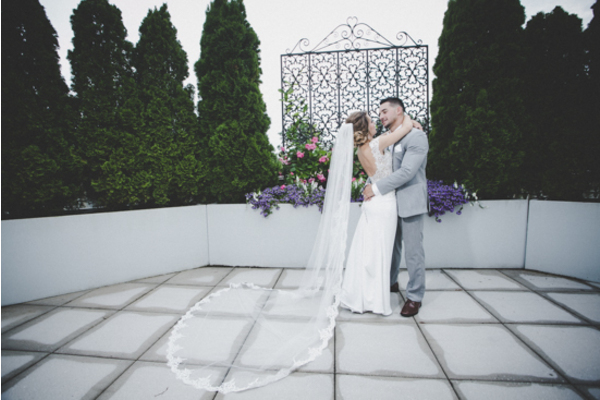 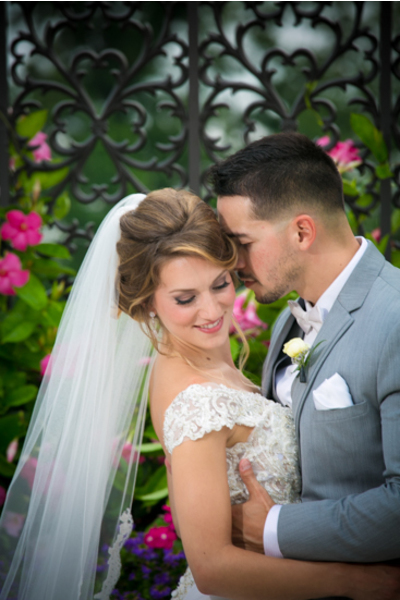 Congratulations to Rachel and Rafael on their spectacular summer wedding. 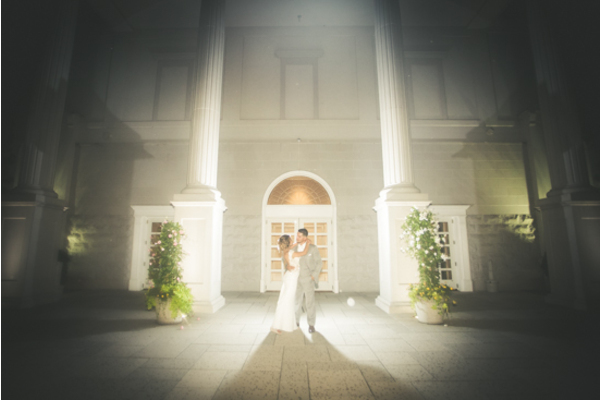 They tied the knot at The Palace at Somerset! 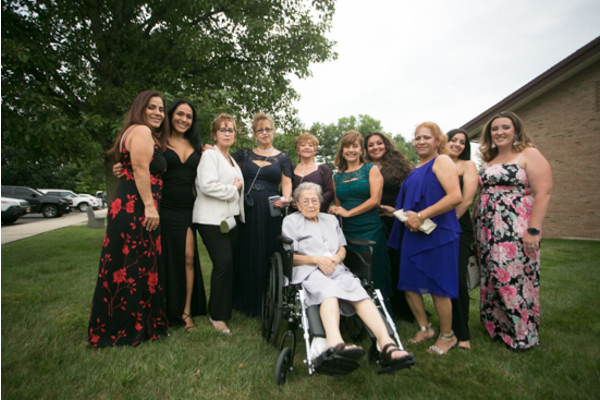 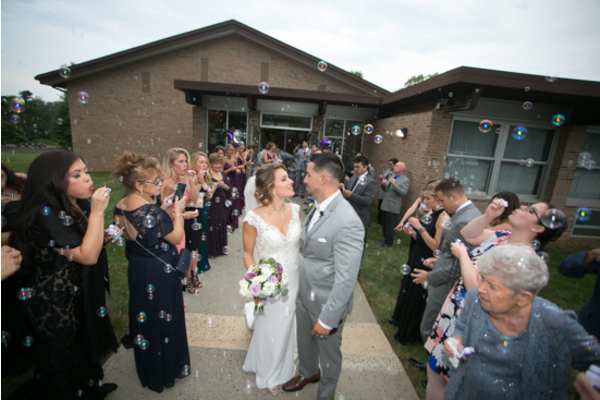 Before heading to the ceremony, our NJ Wedding Photographer took some shots of the bride and her girls in front of the grand window. 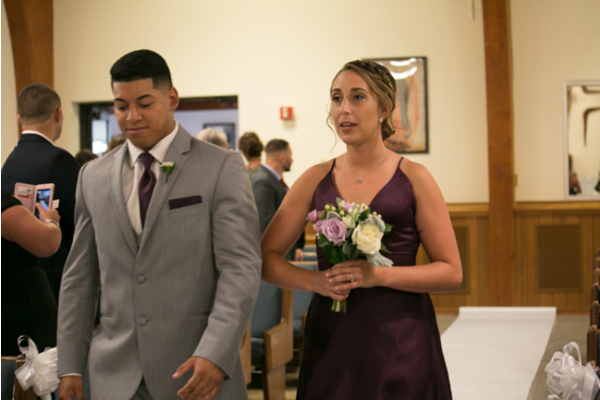 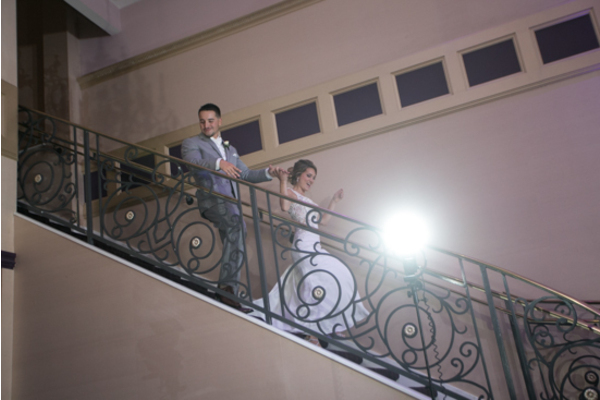 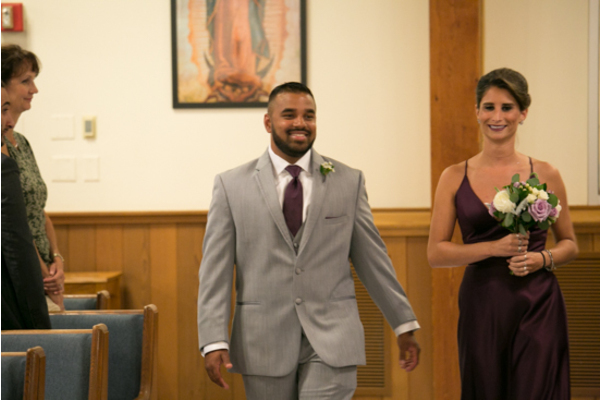 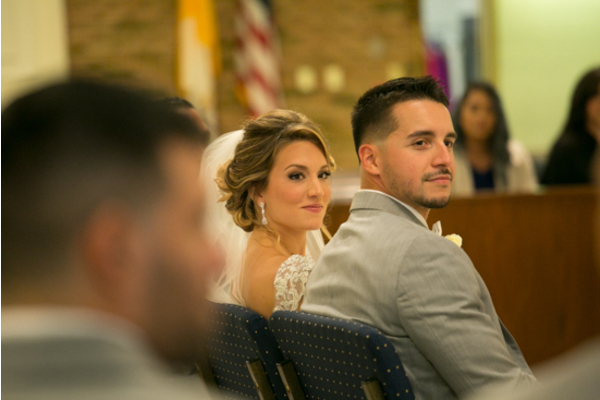 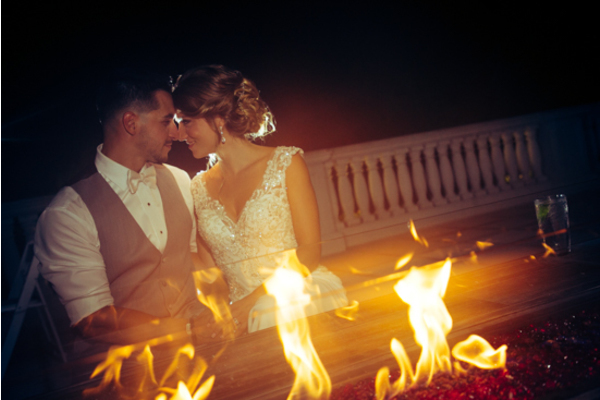 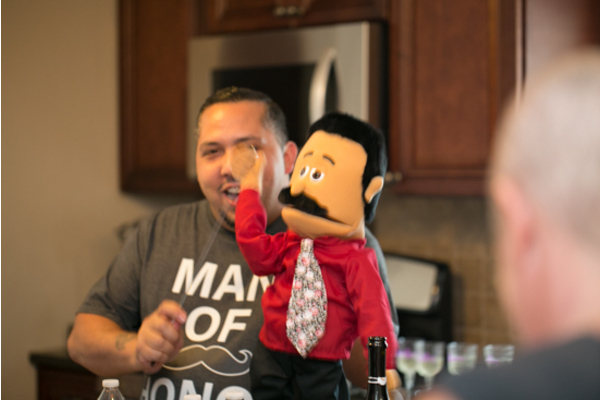 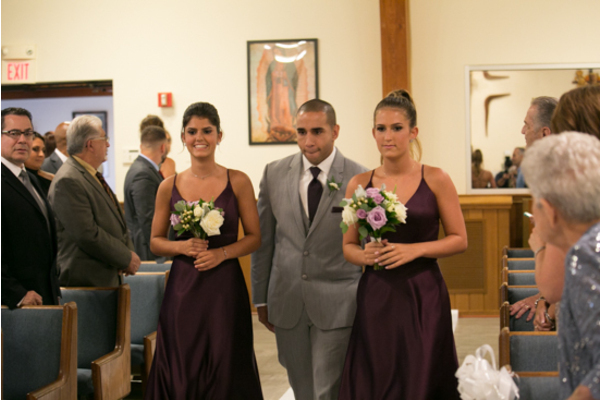 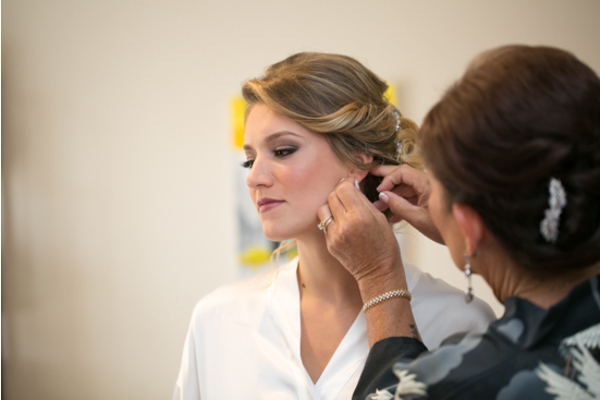 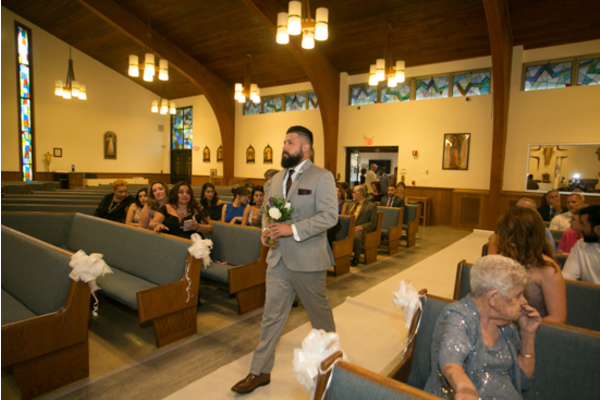 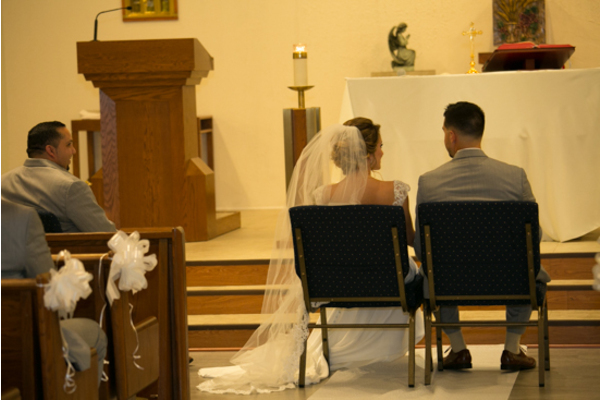 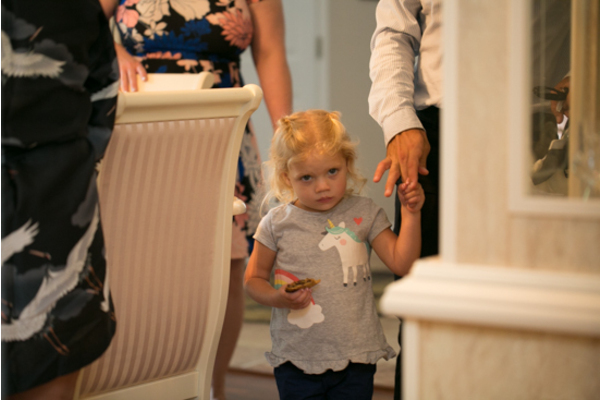 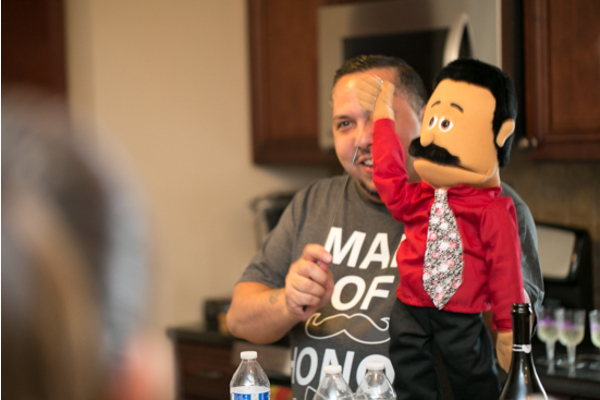 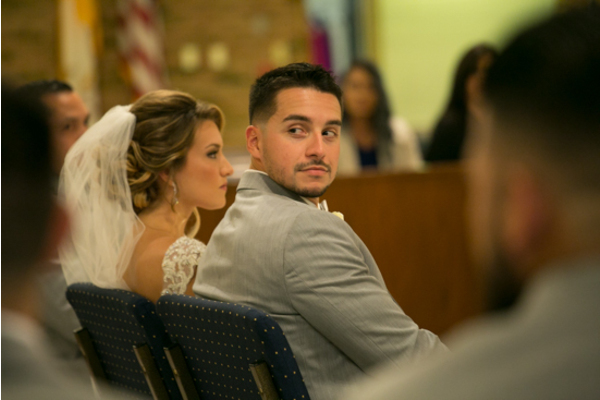 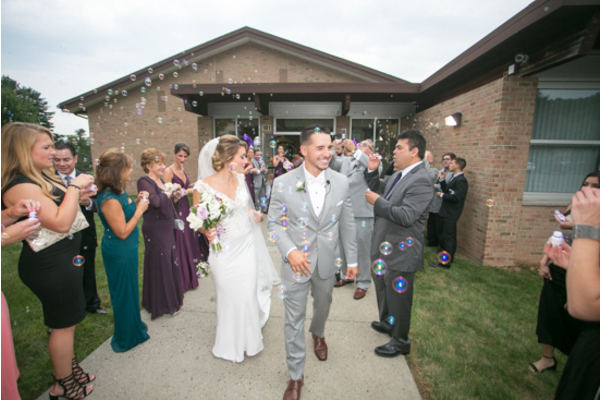 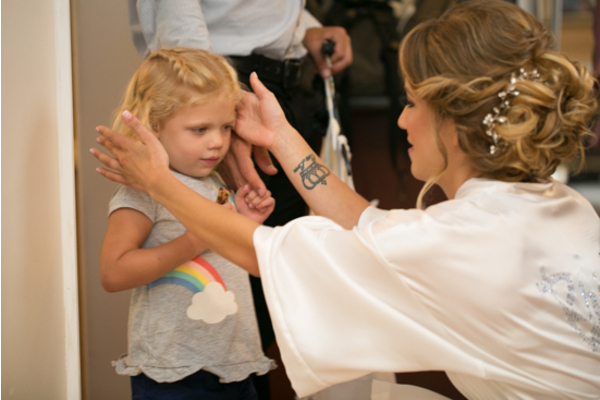 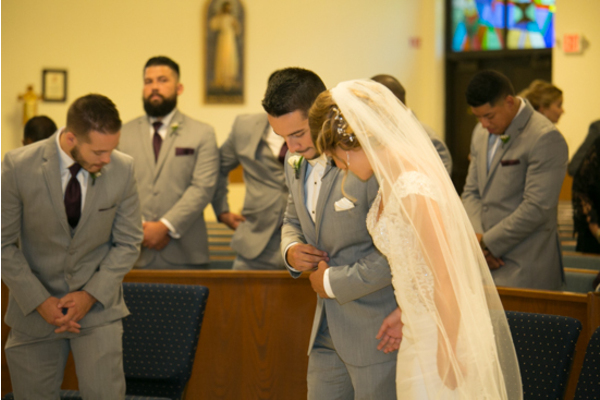 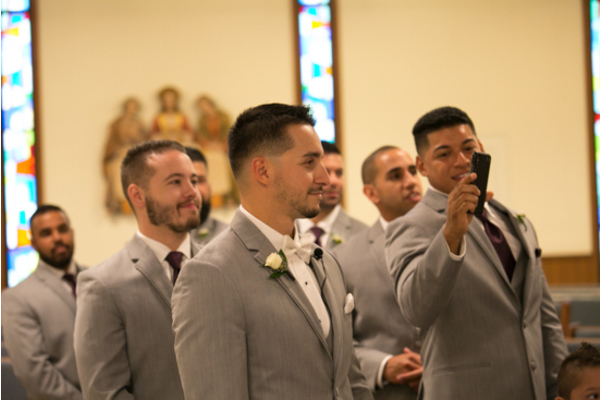 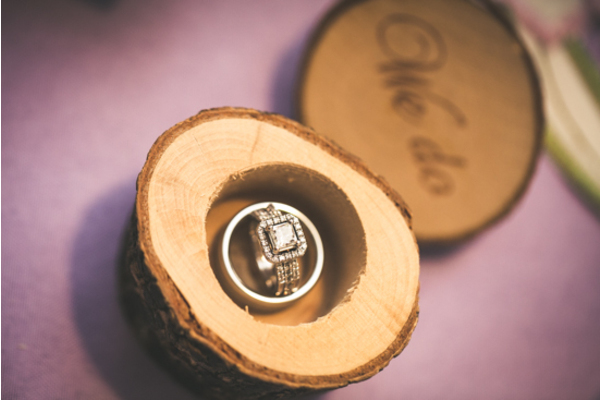 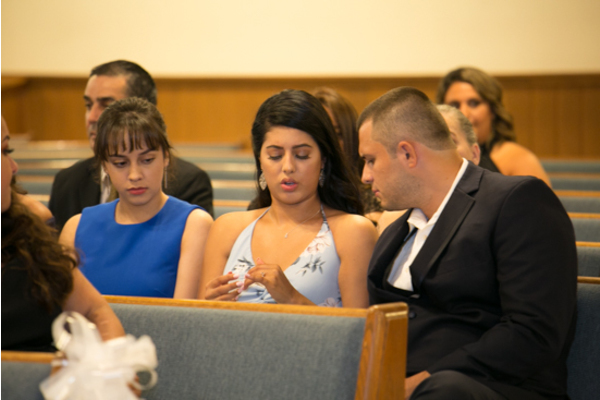 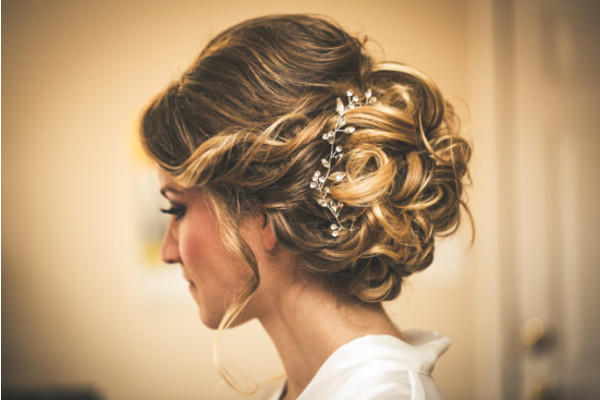 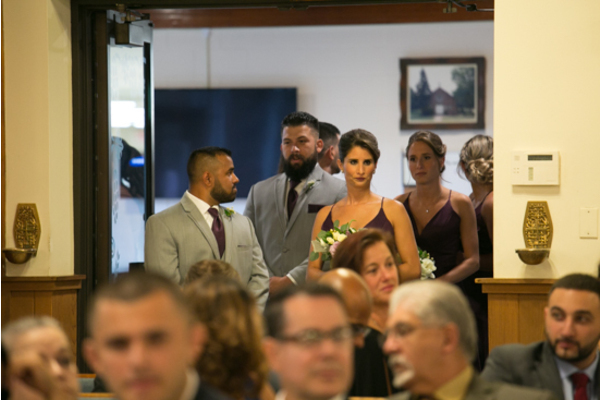 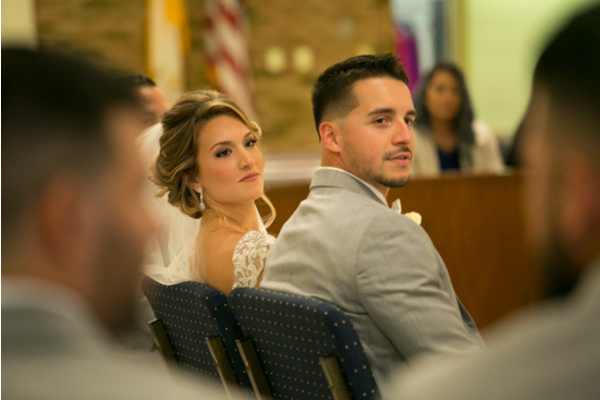 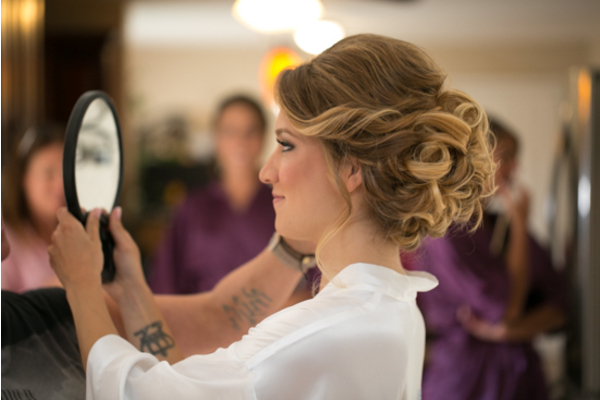 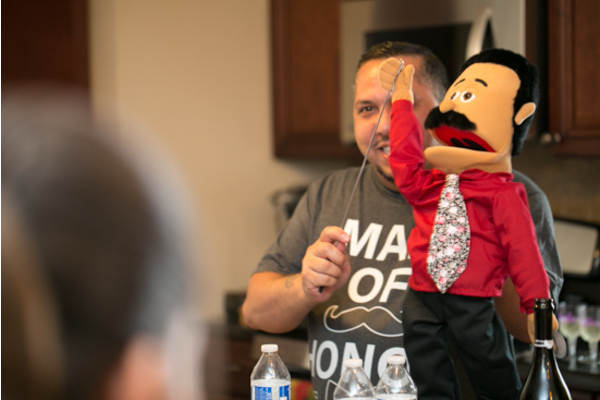 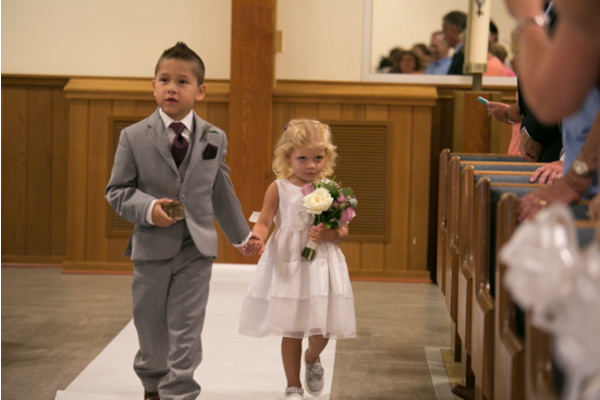 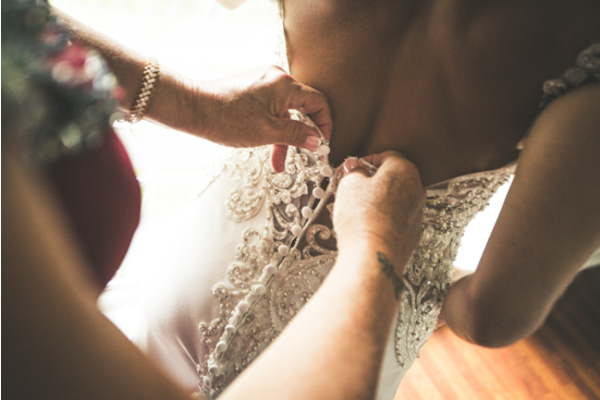 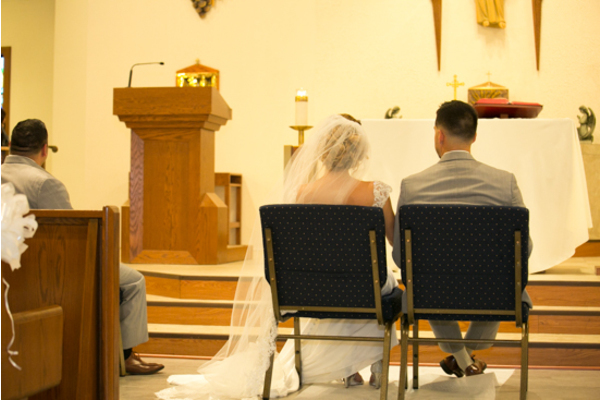 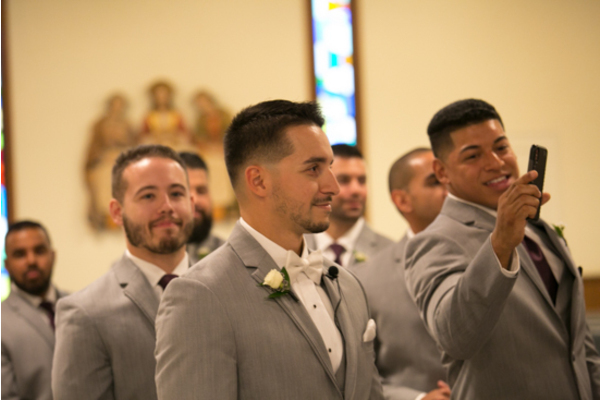 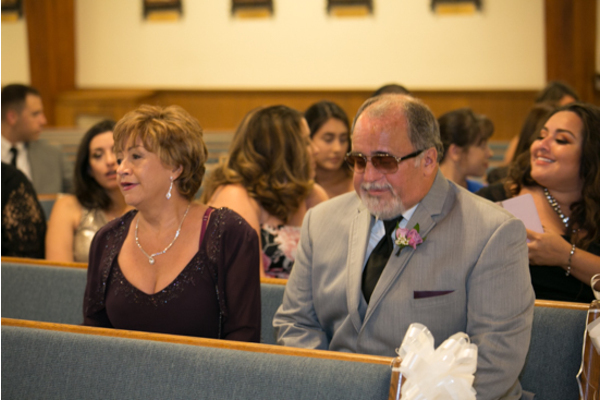 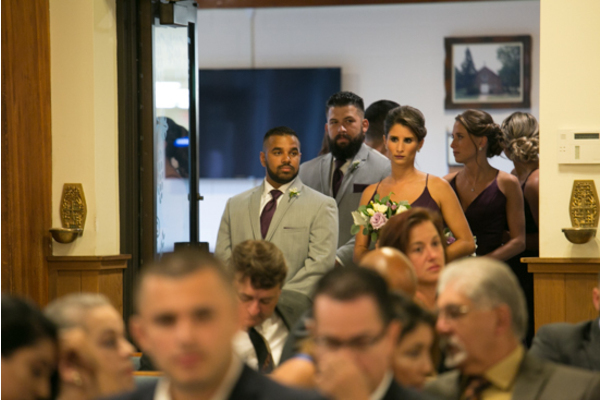 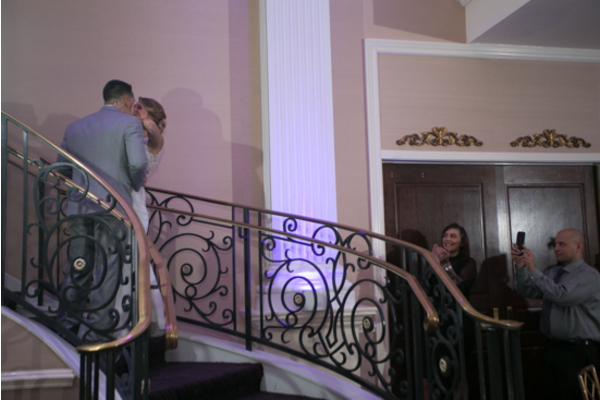 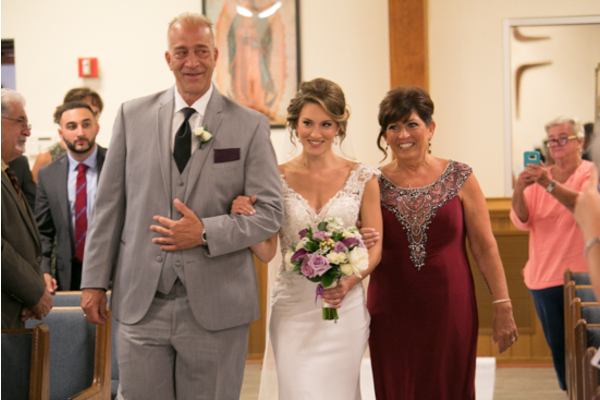 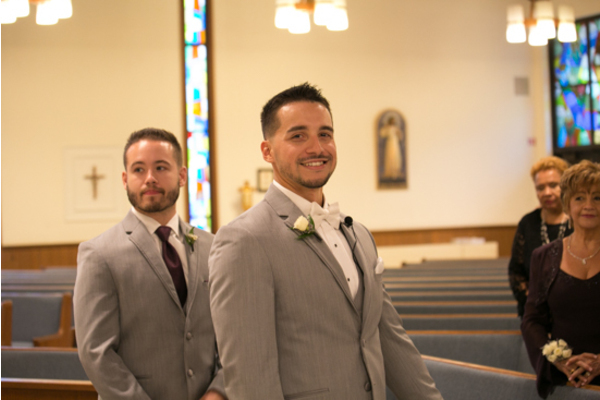 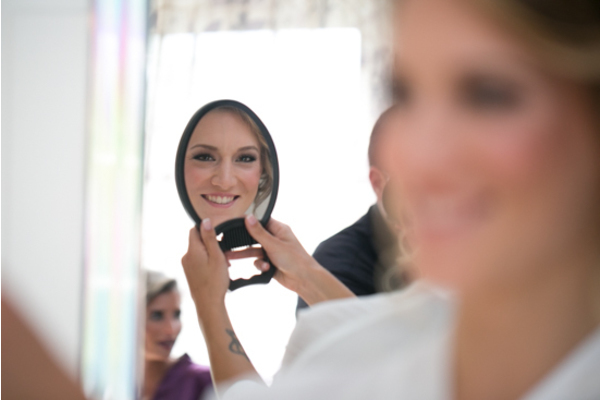 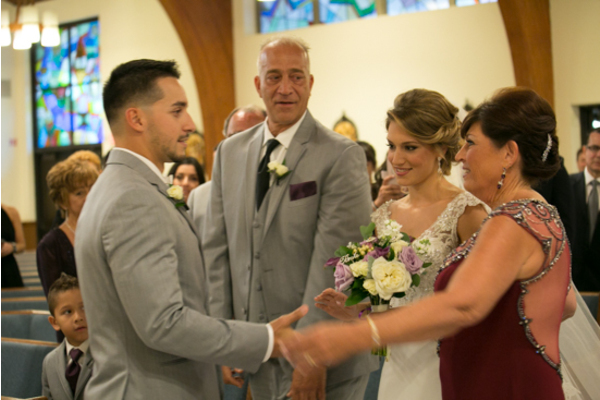 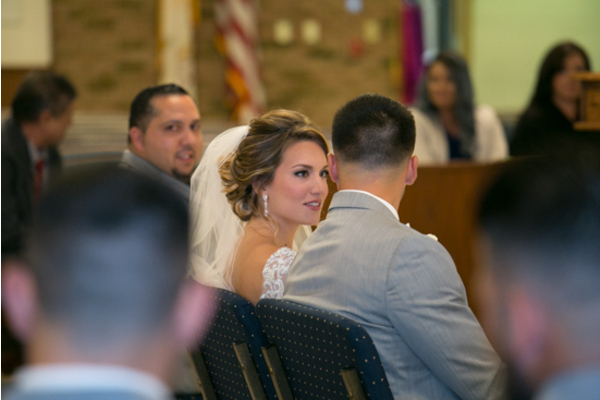 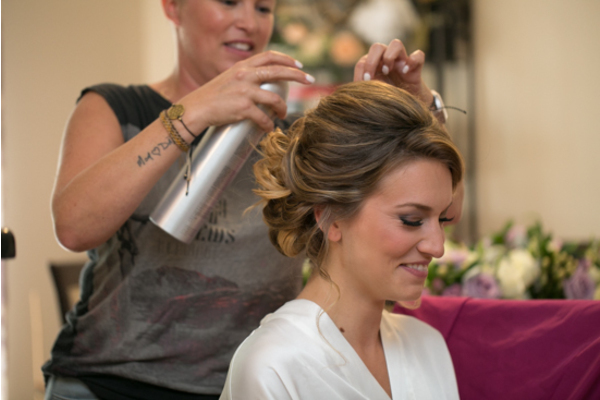 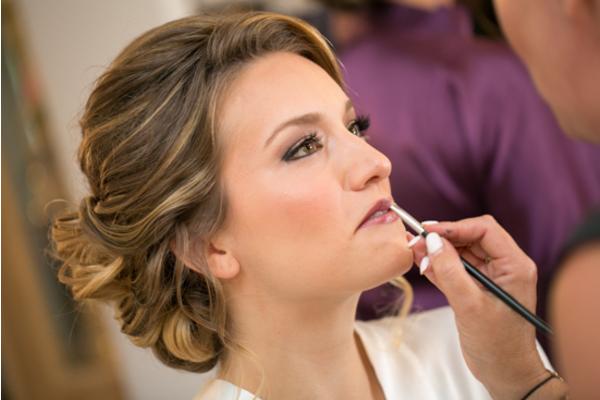 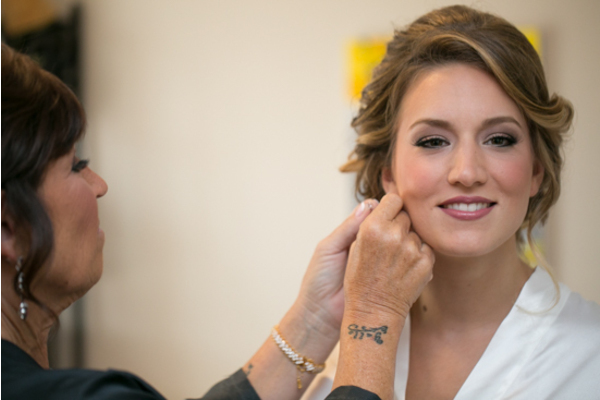 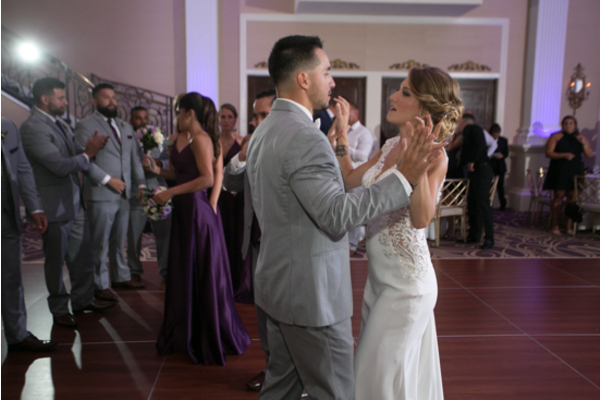 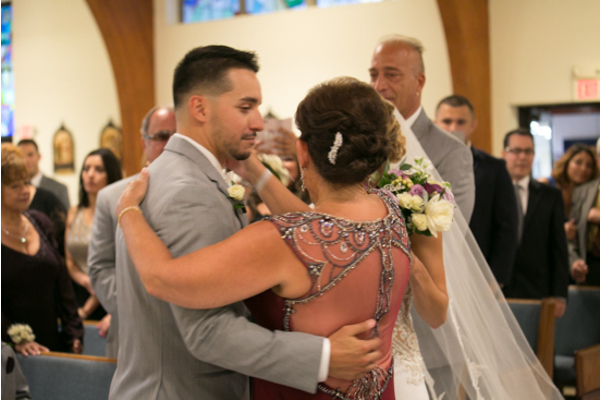 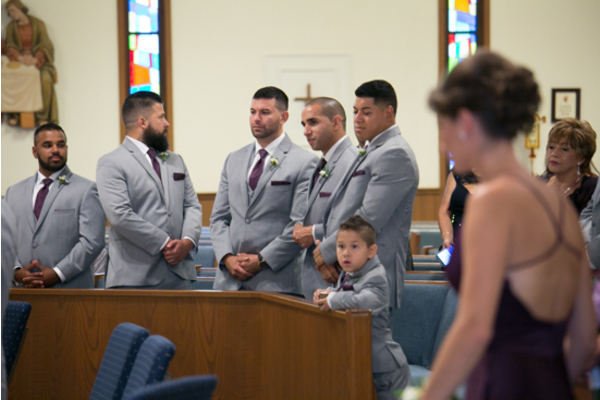 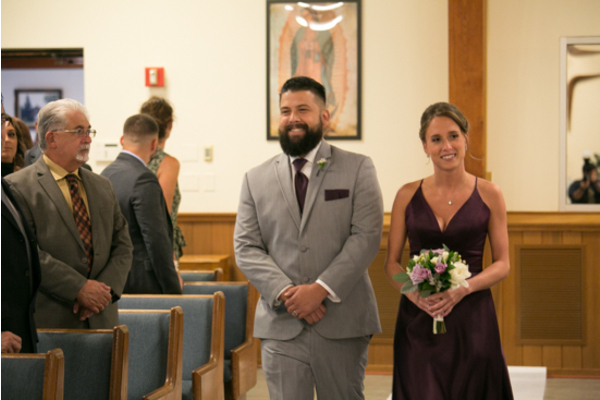 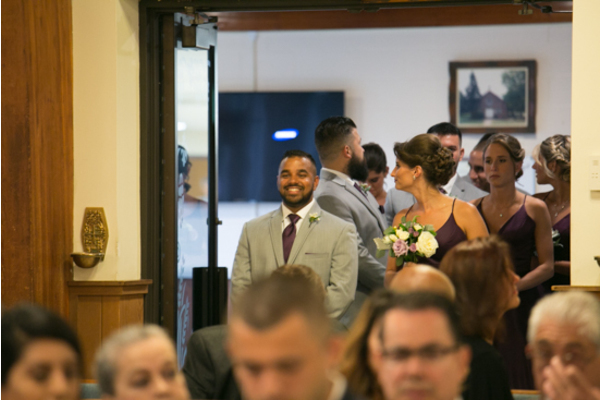 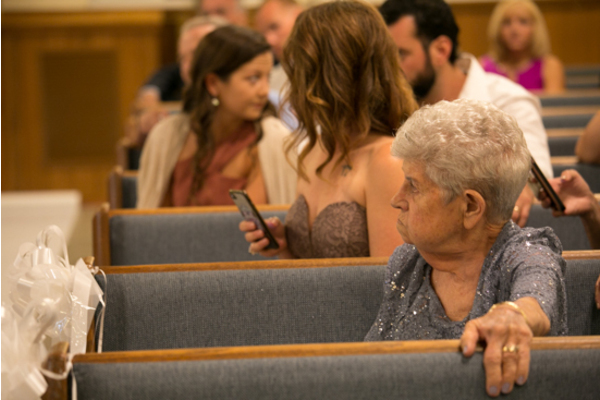 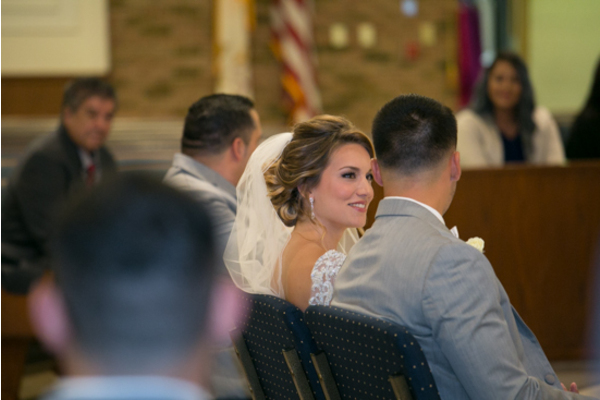 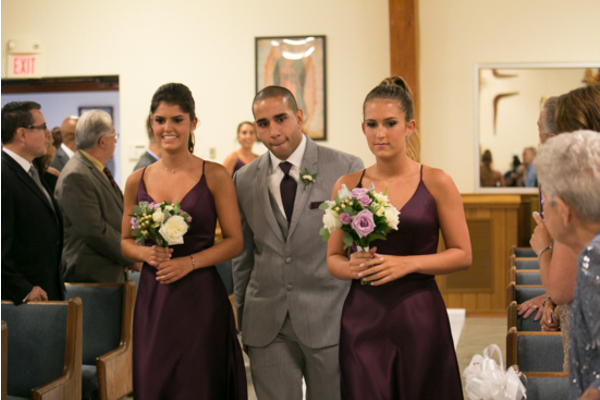 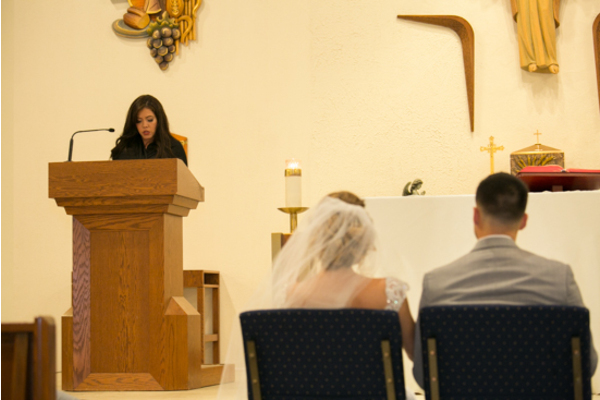 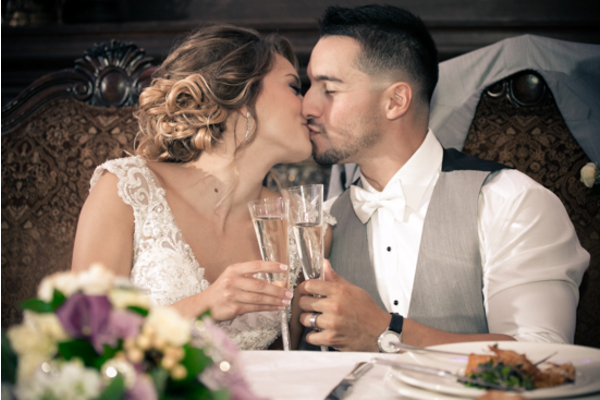 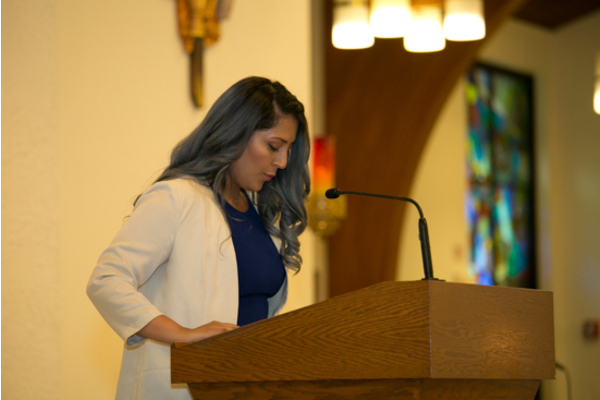 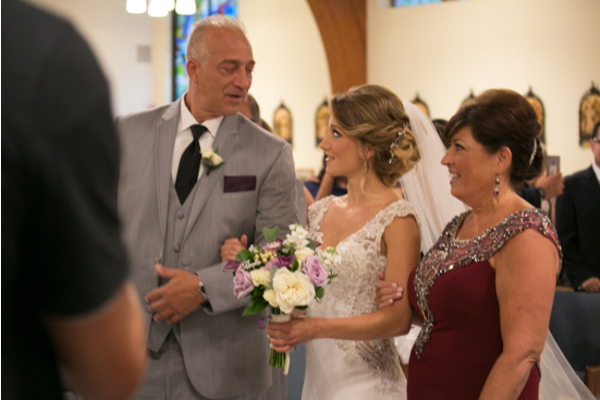 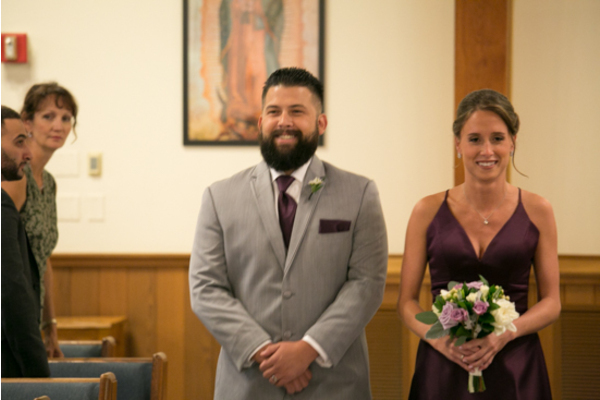 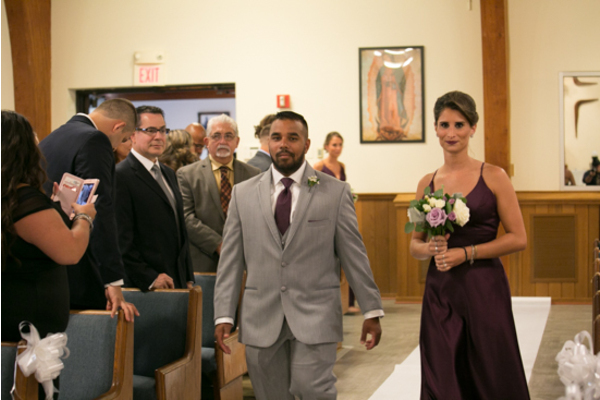 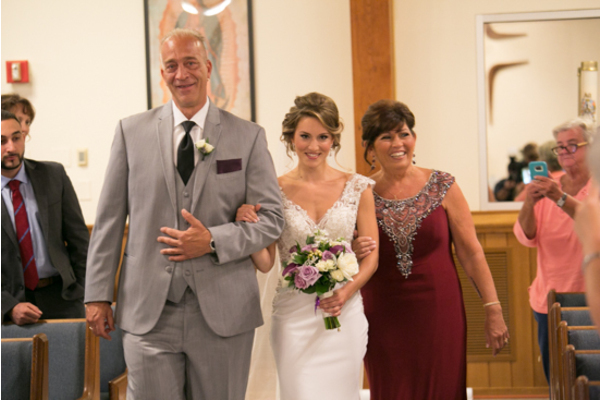 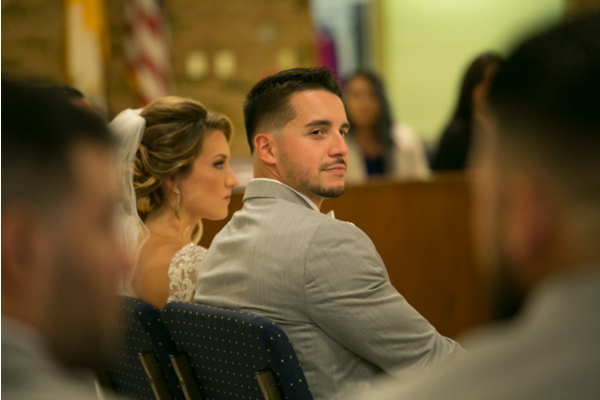 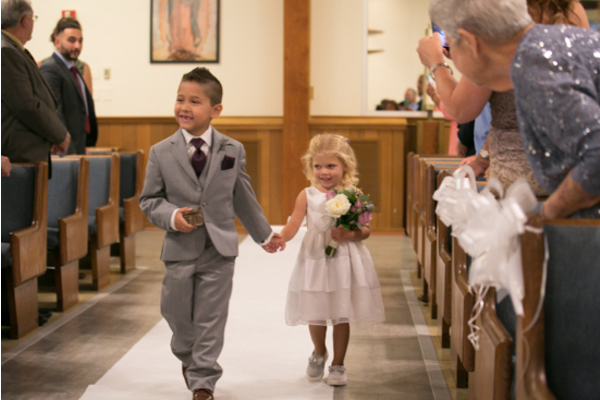 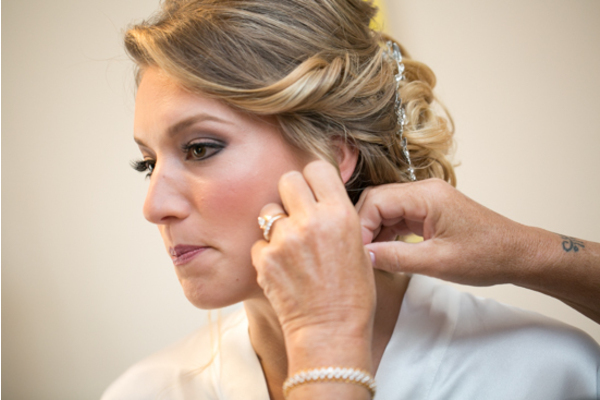 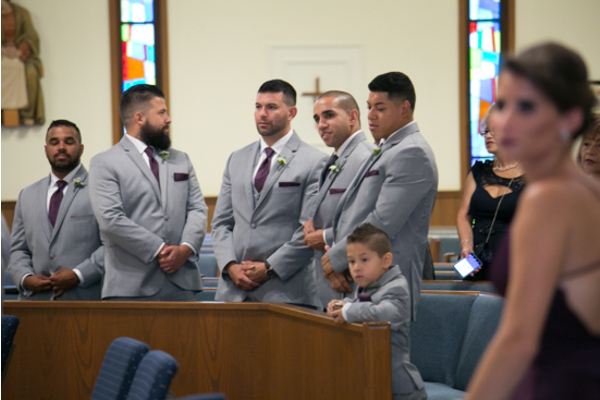 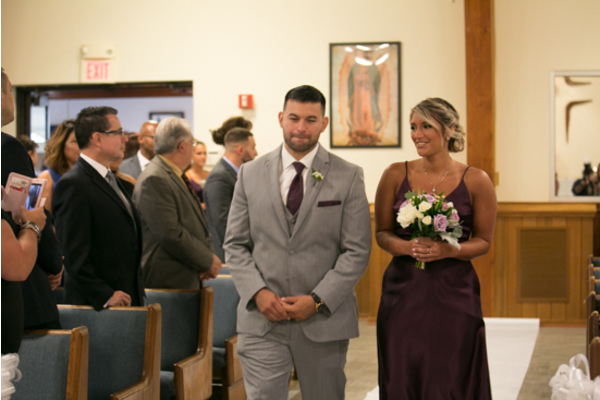 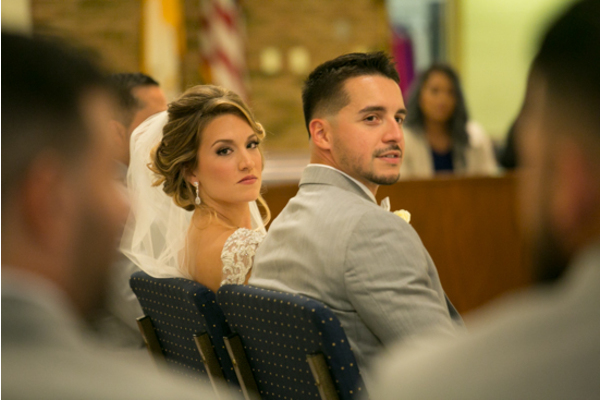 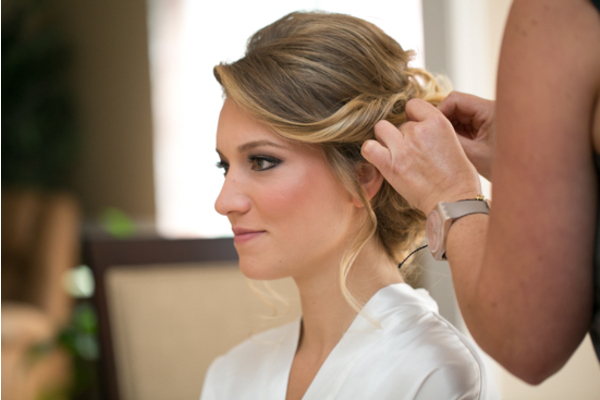 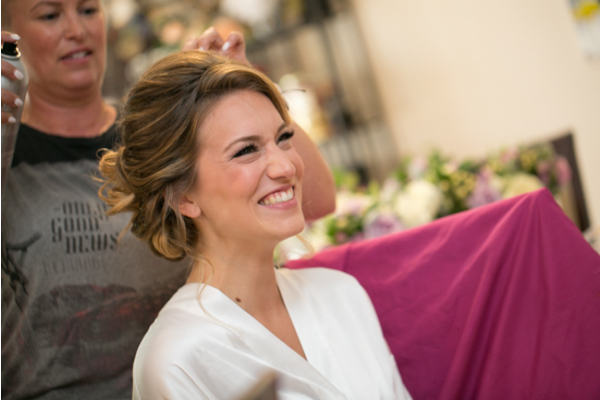 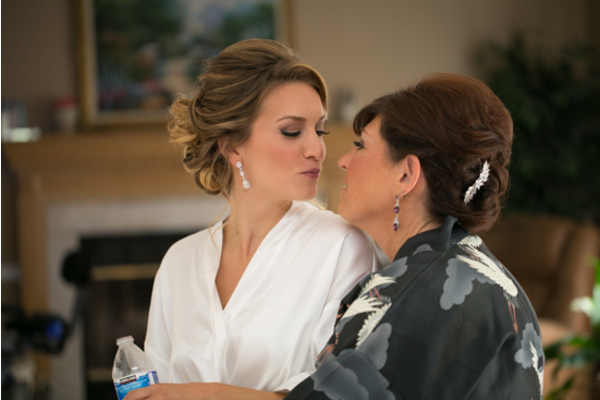 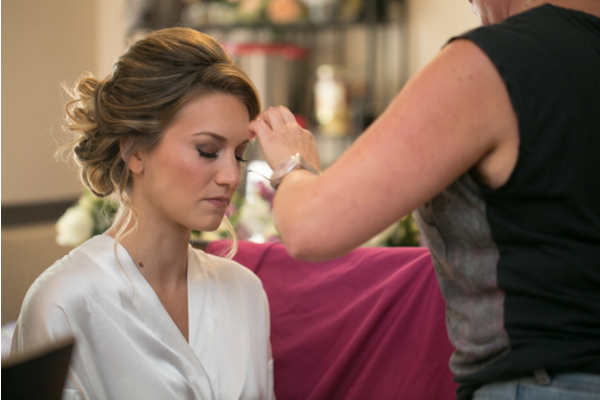 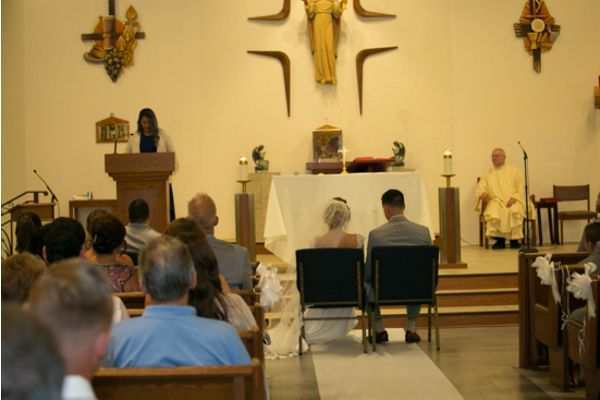 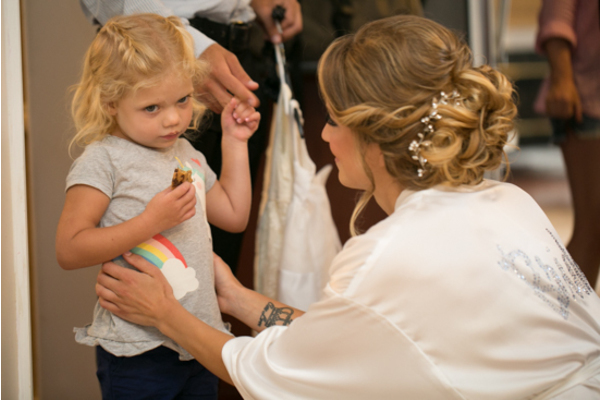 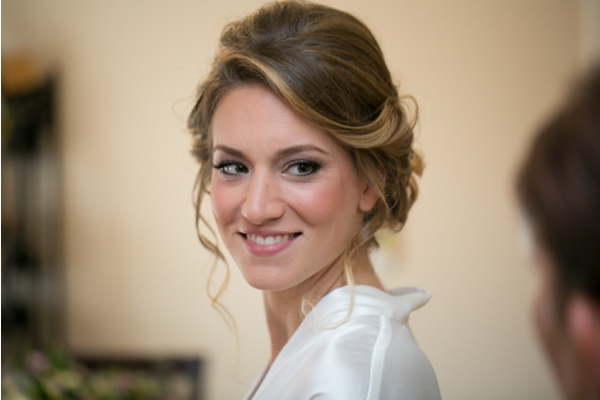 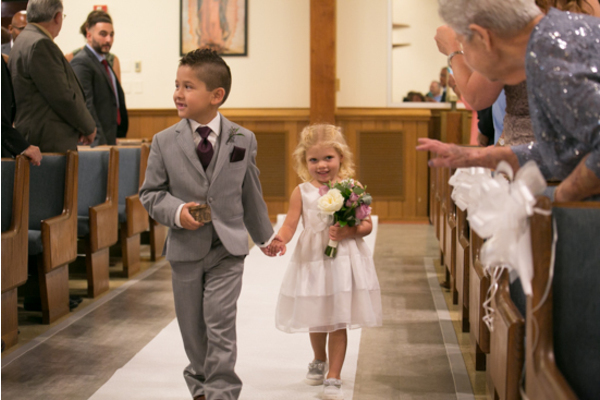 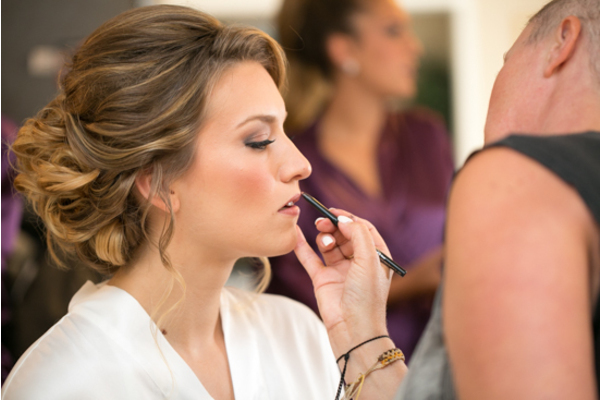 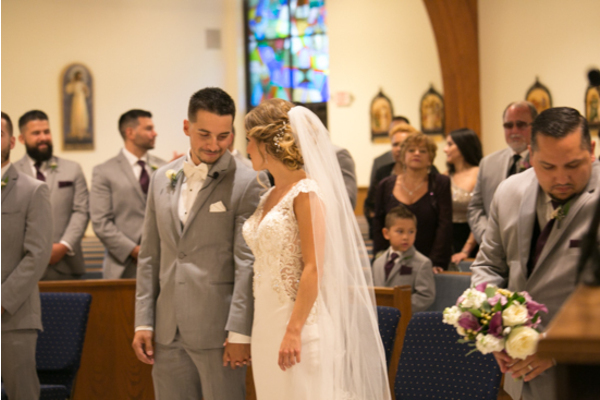 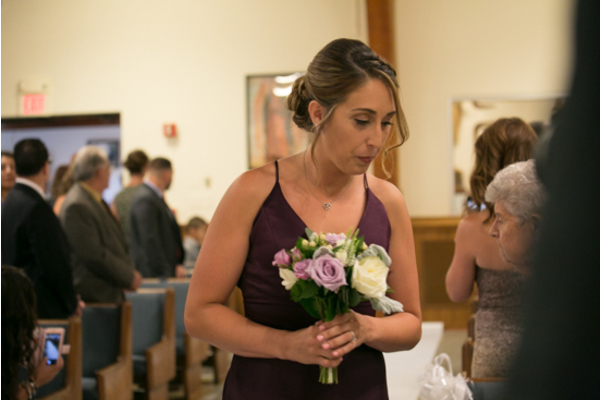 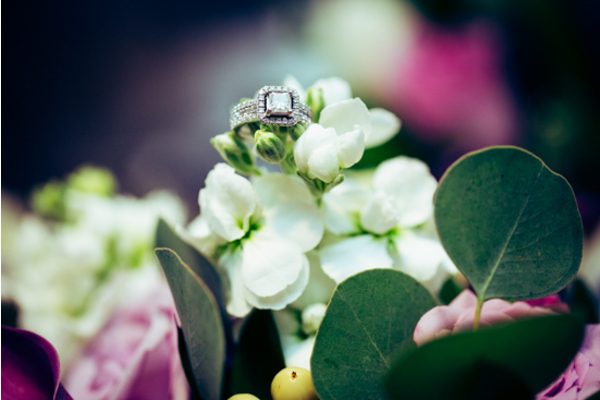 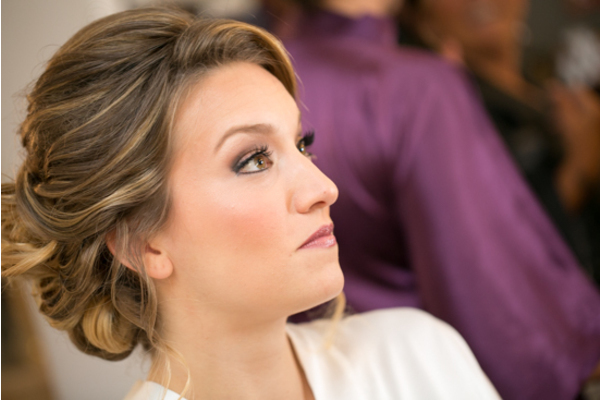 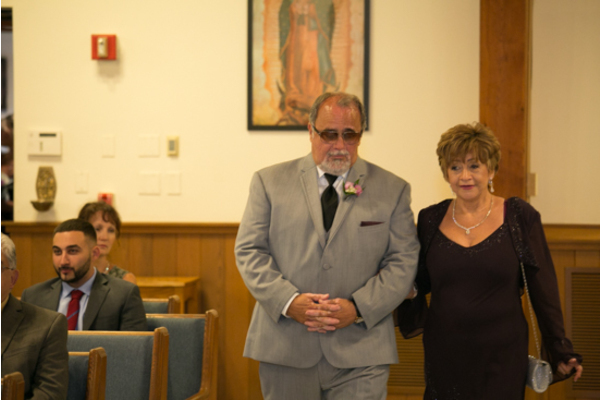 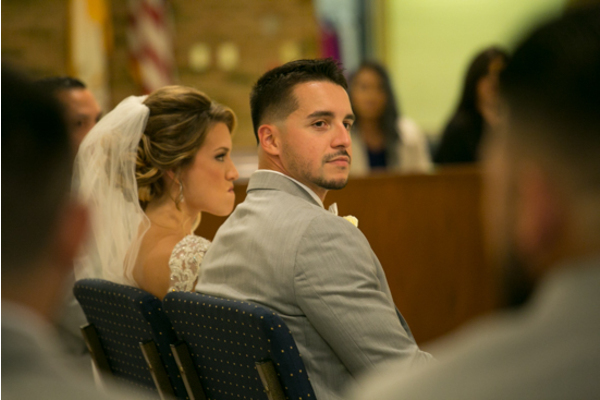 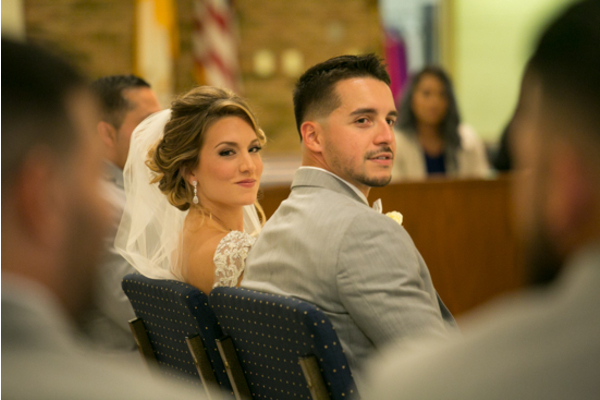 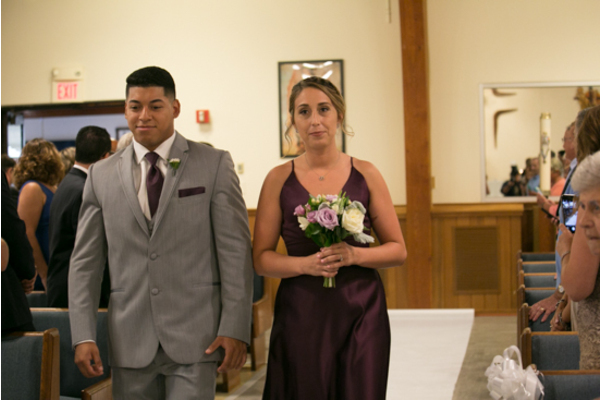 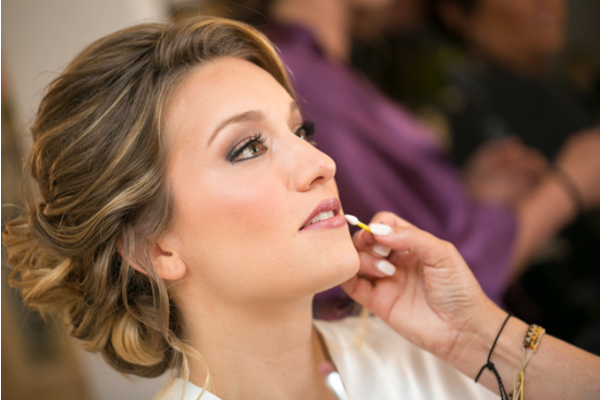 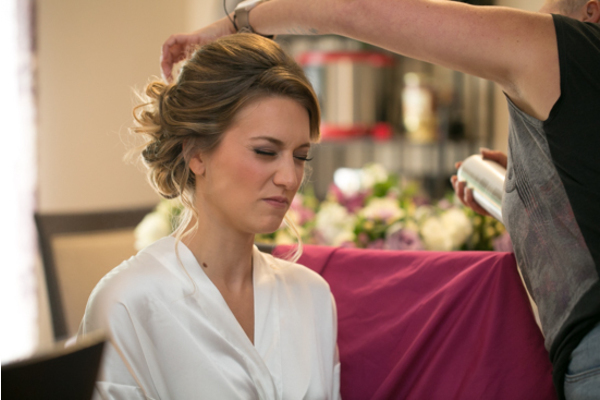 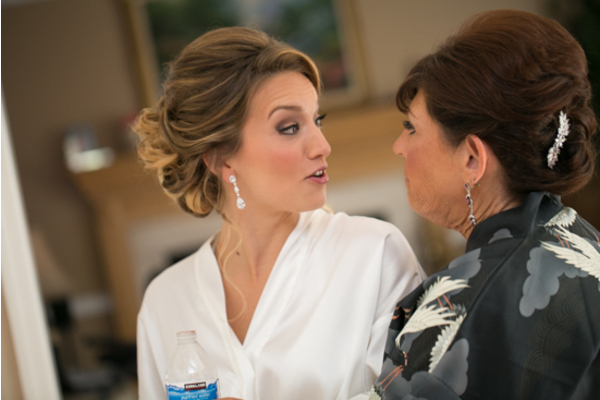 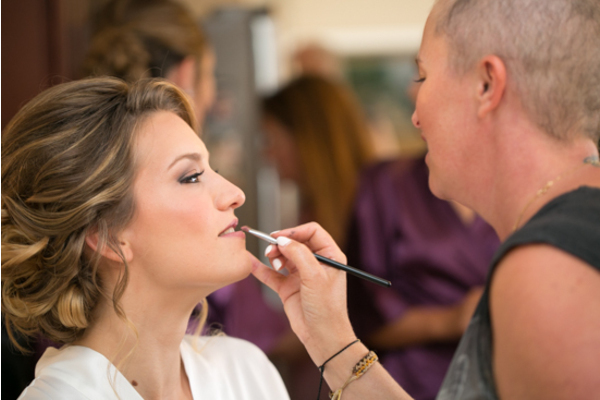 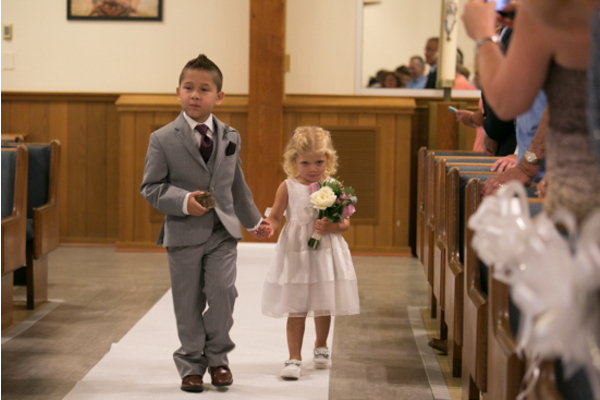 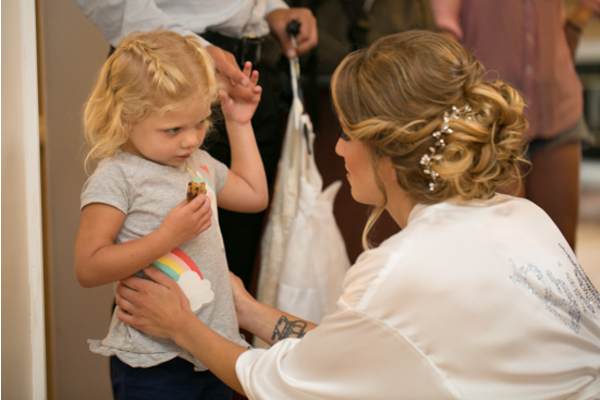 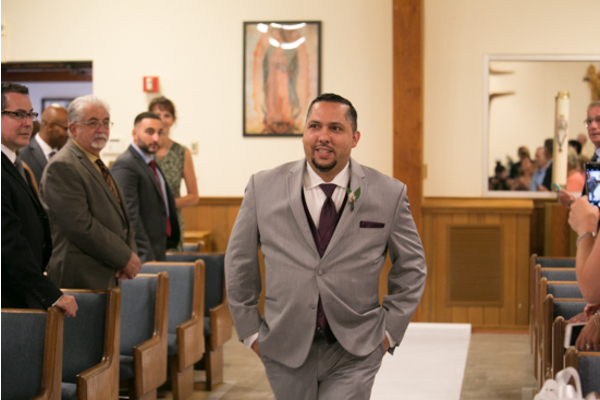 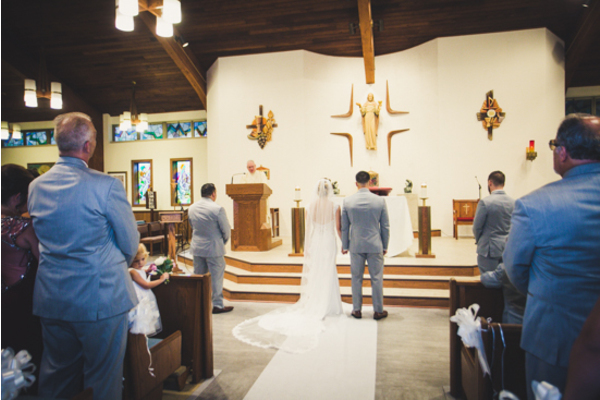 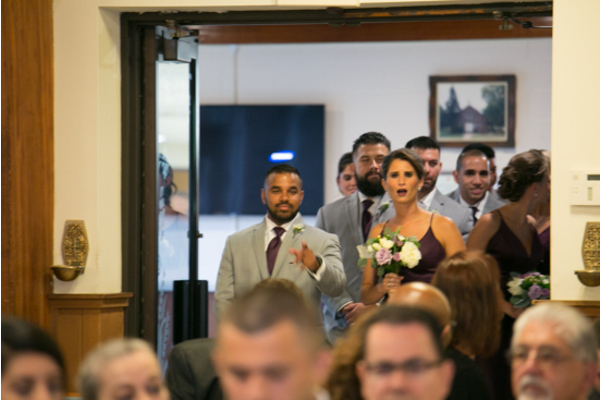 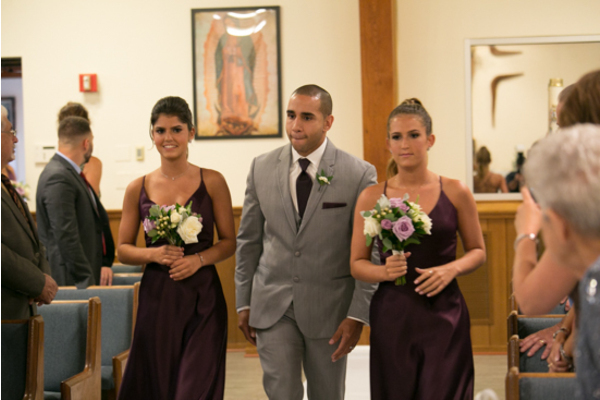 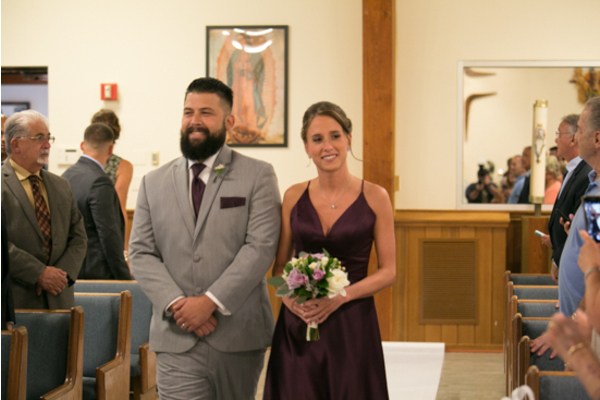 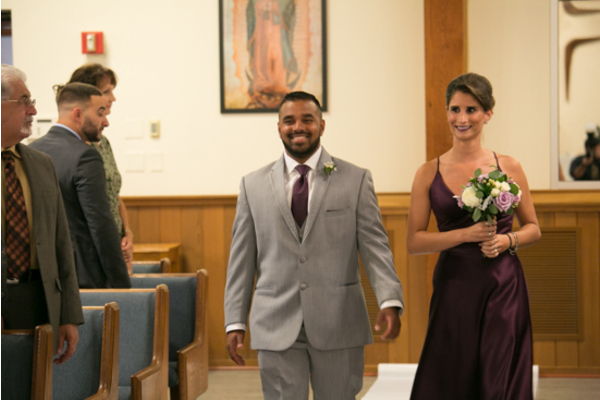 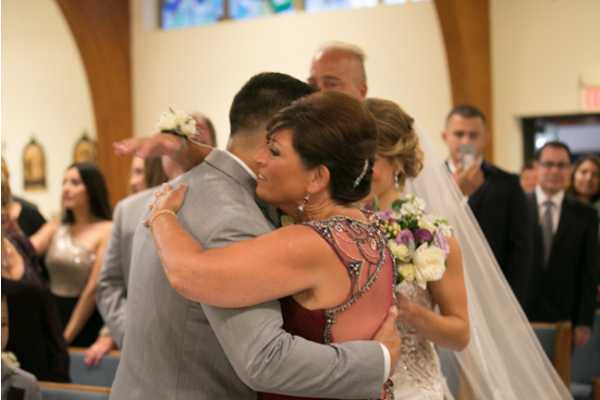 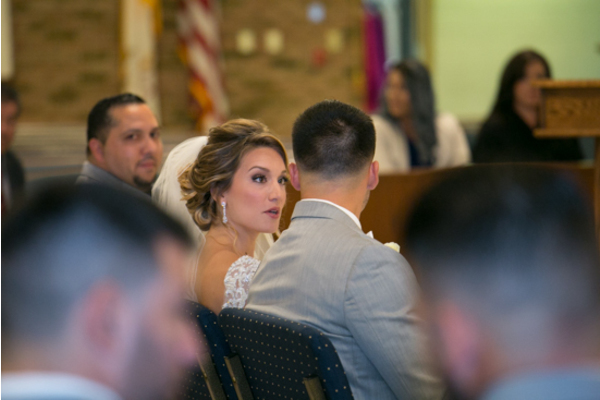 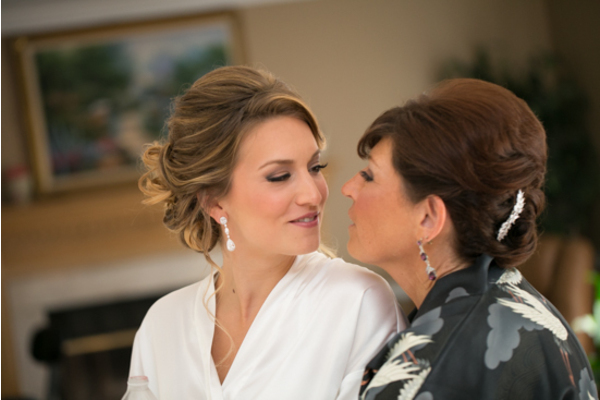 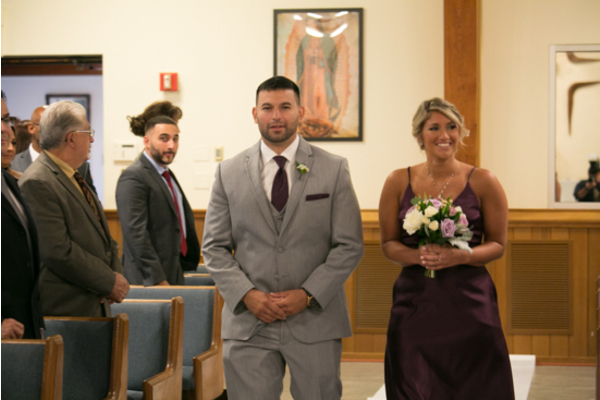 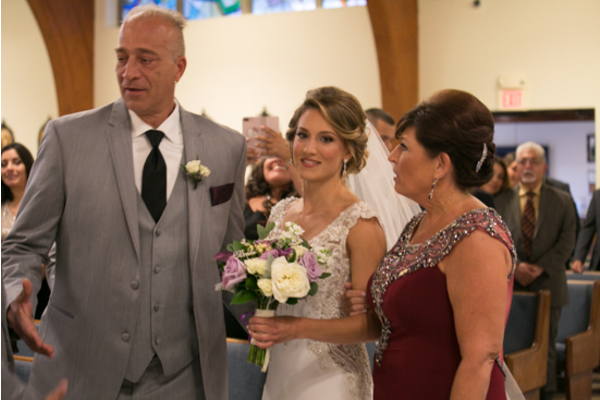 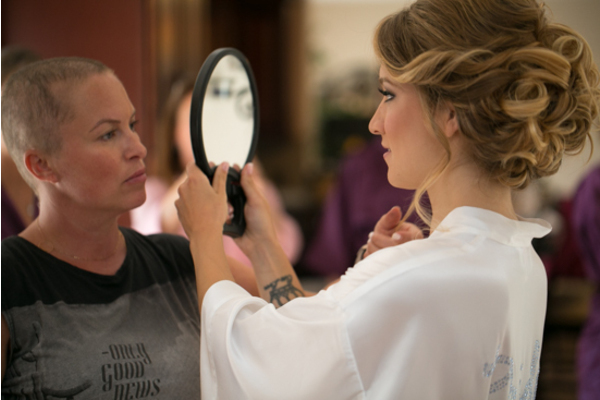 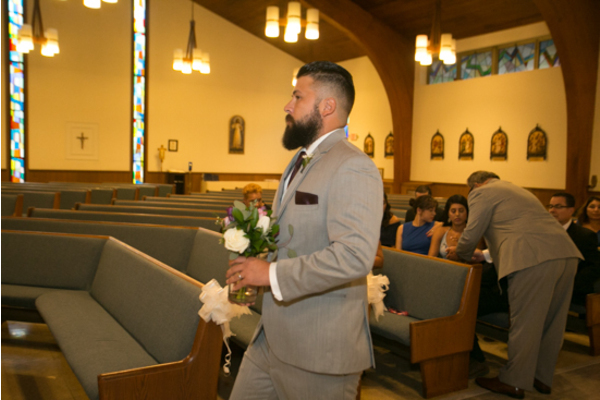 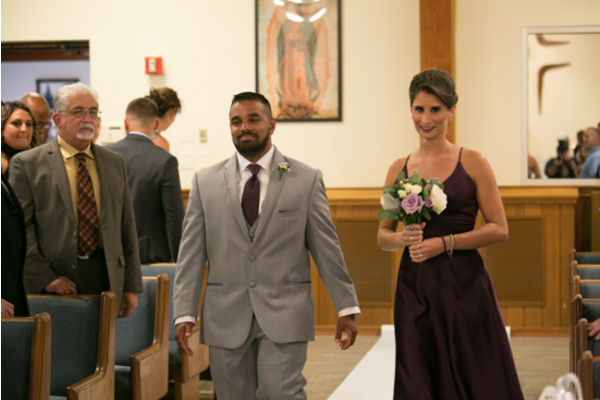 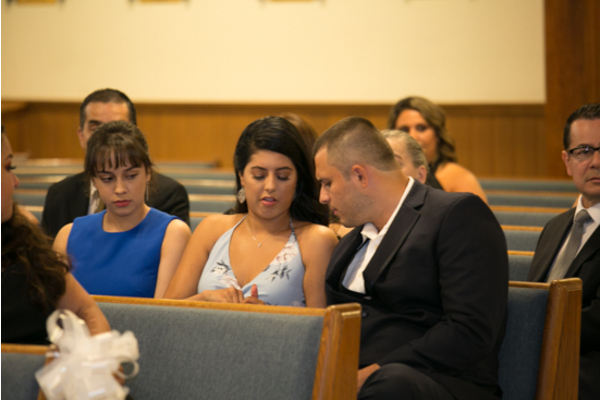 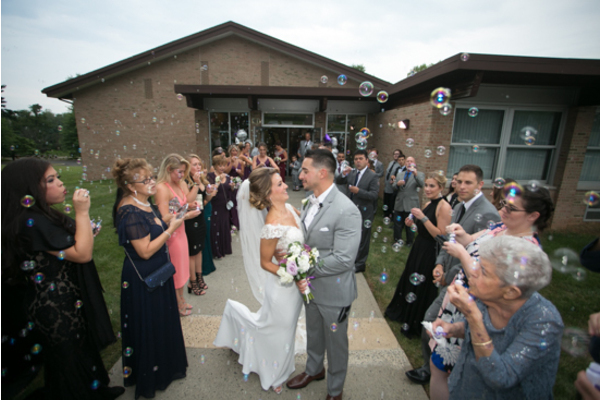 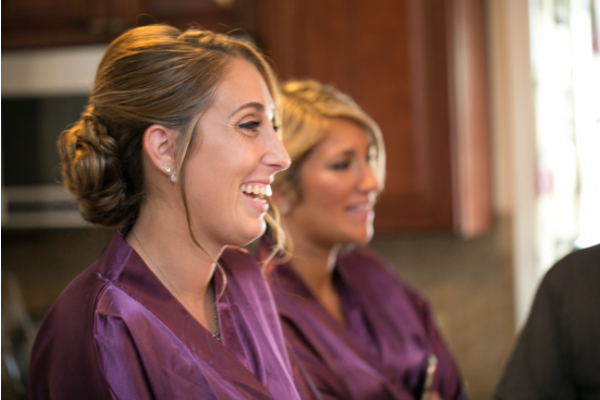 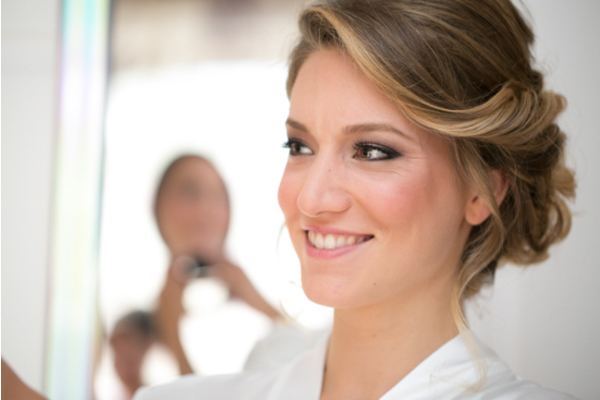 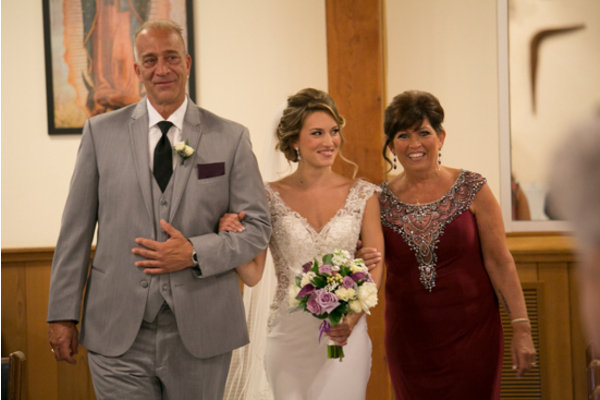 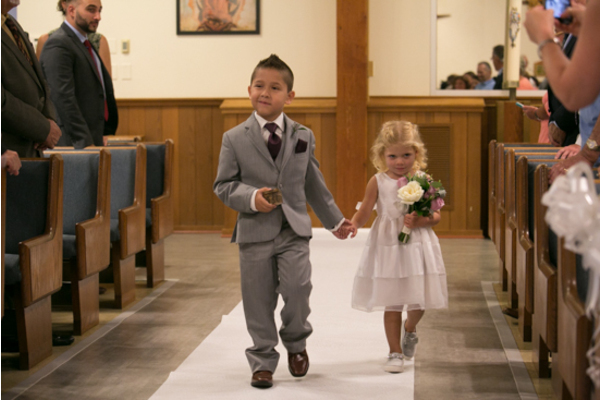 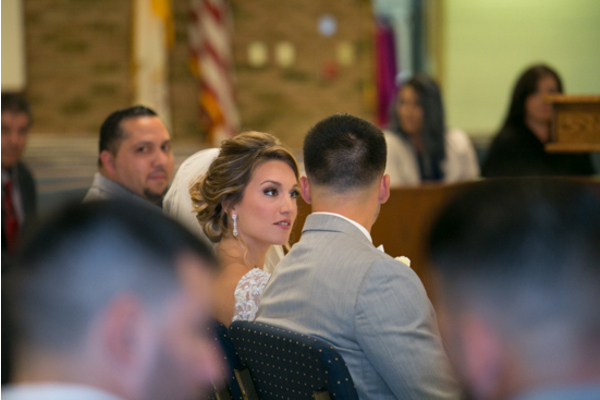 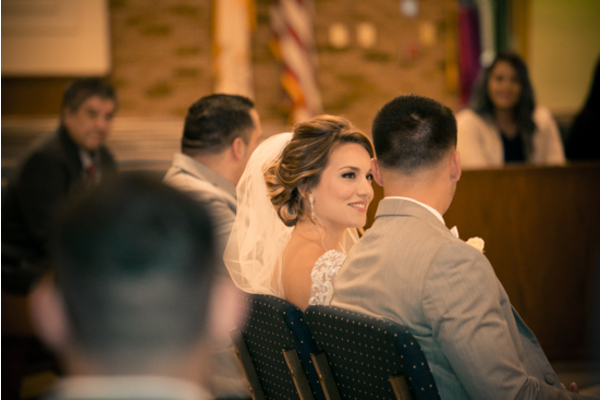 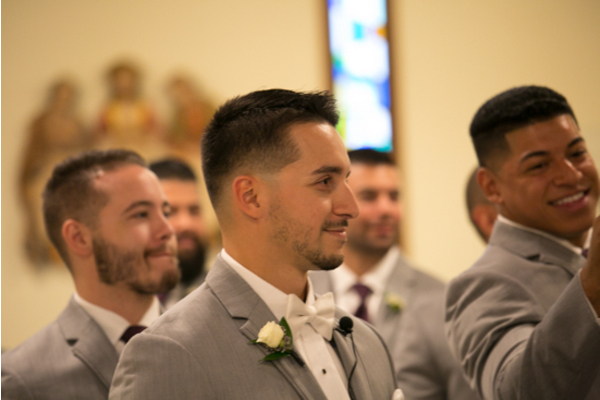 There was not one dry eye in the church pews as Rachel and Rafael laid eyes on each other for the first time that day! 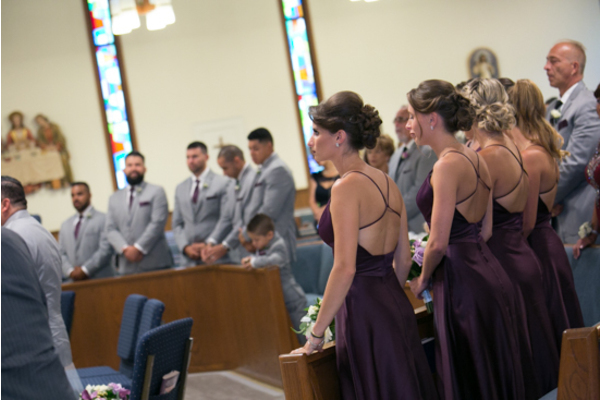 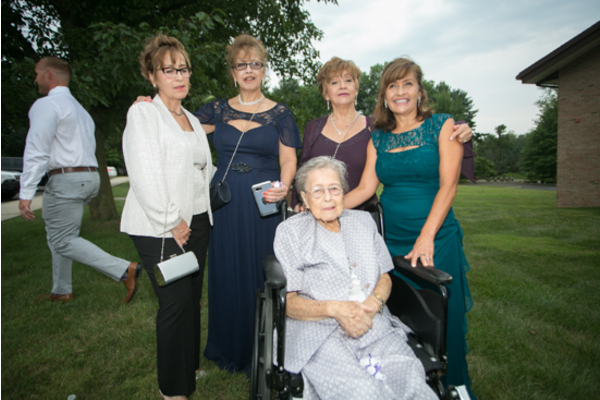 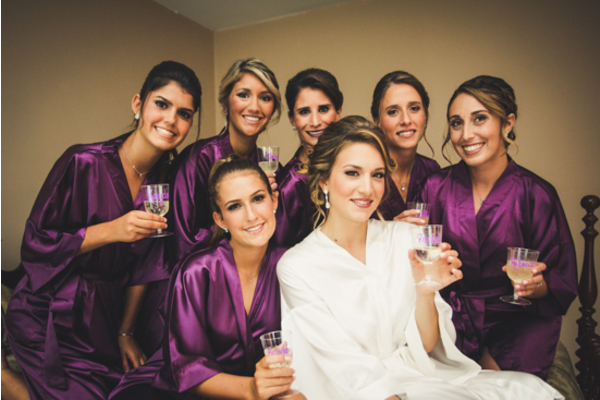 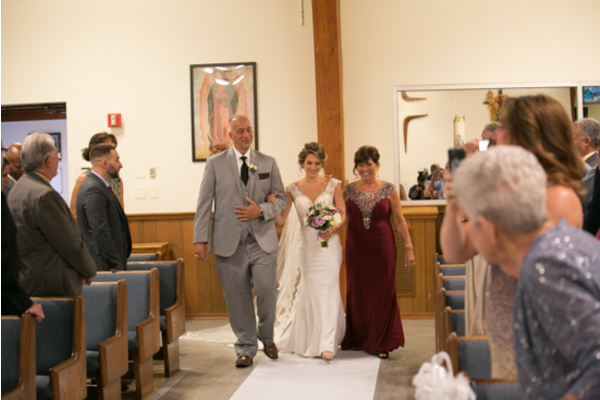 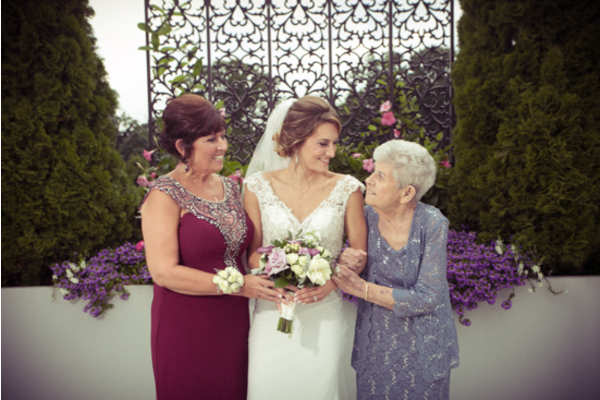 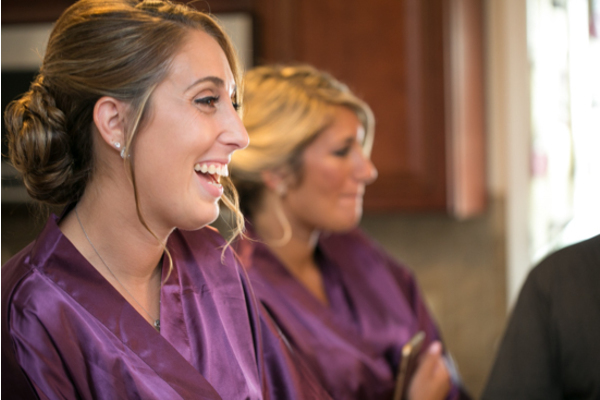 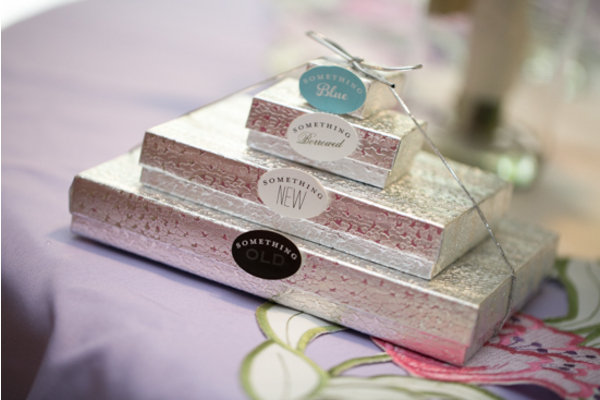 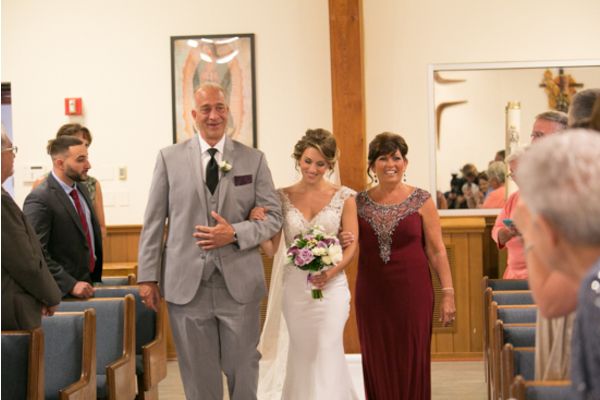 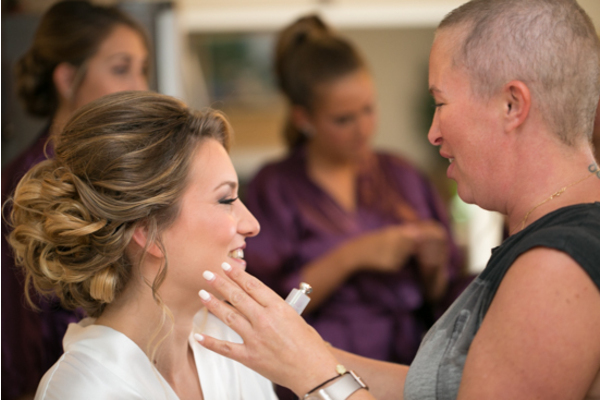 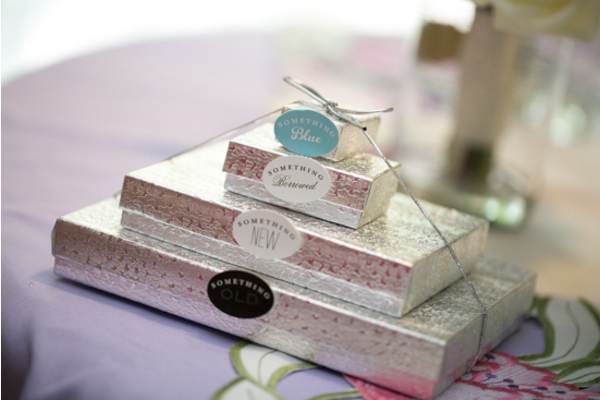 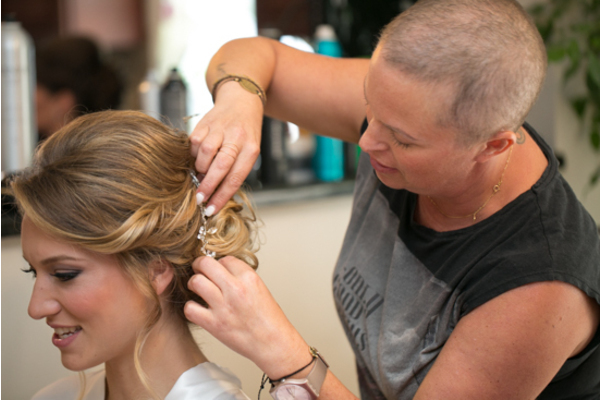 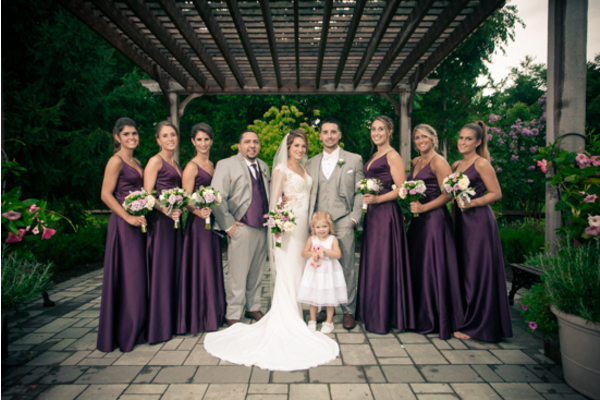 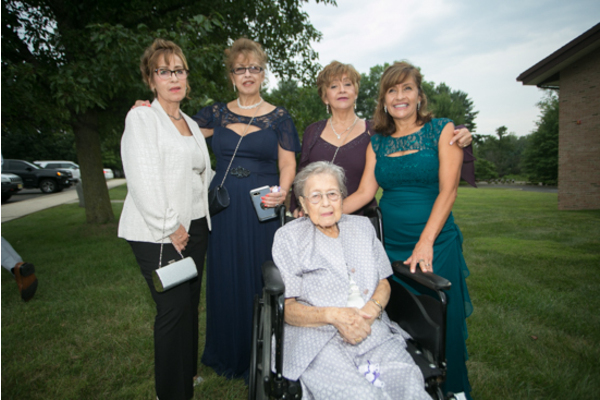 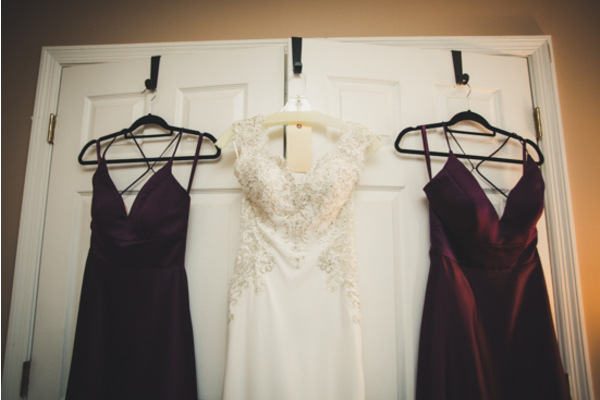 The bridal party stood by their side as they exchanged their vows up at the alter. After they sealed their love with a kiss, the guests headed outside awaiting to celebrate the newly Mr. & Mrs! 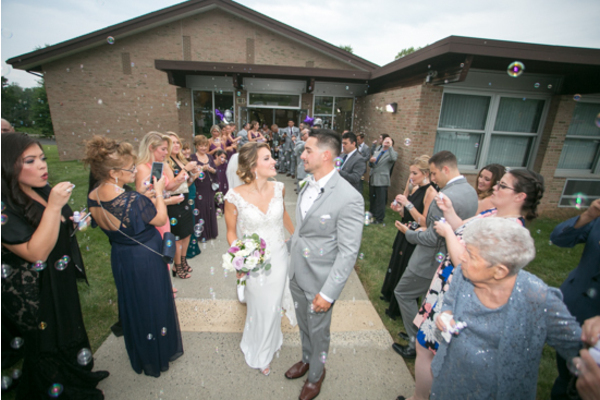 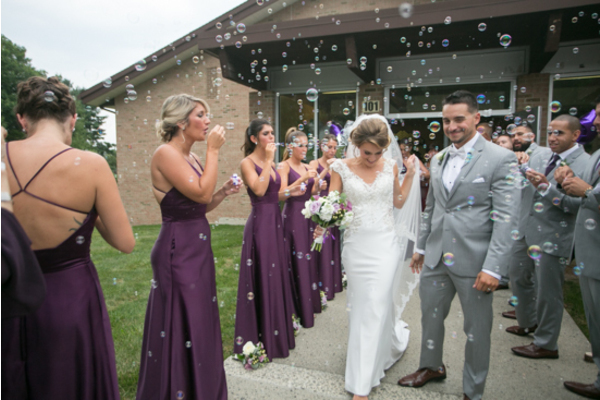 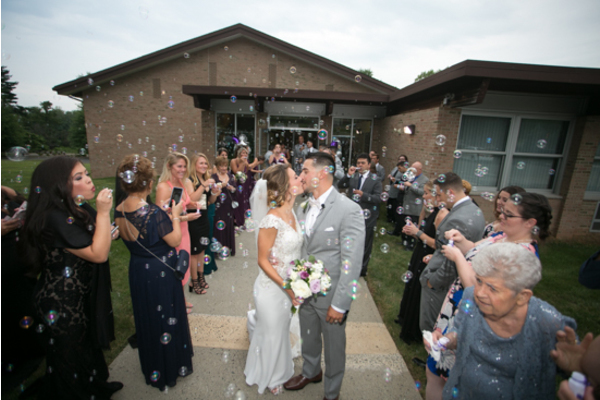 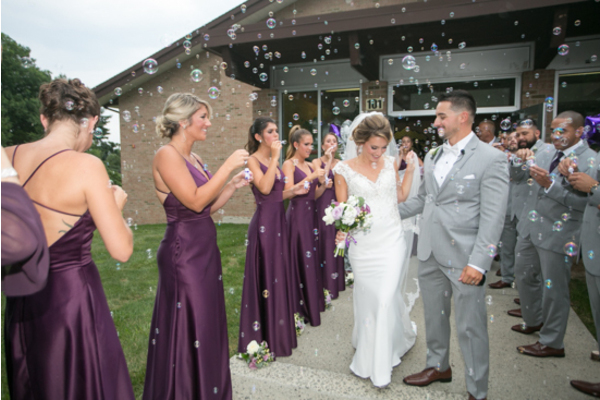 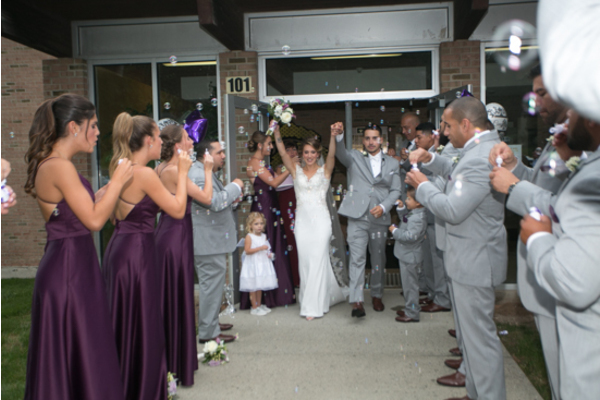 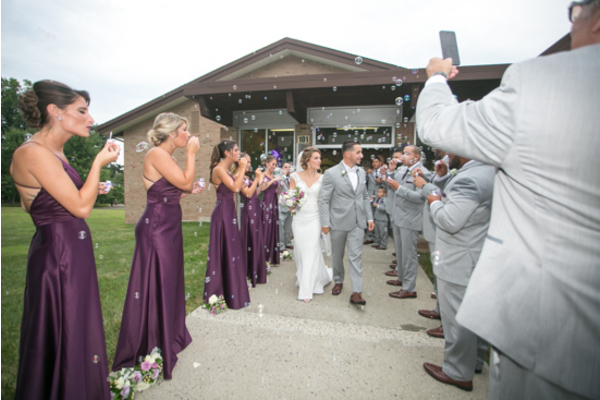 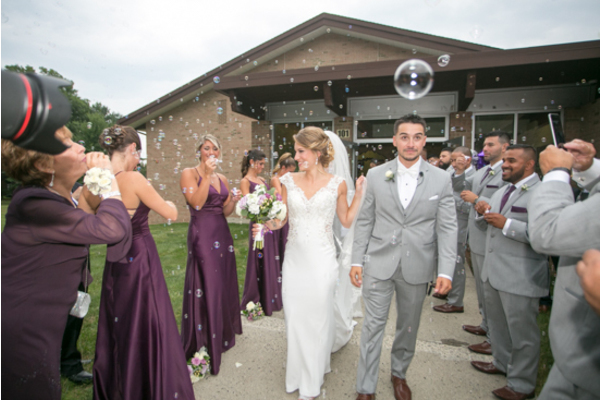 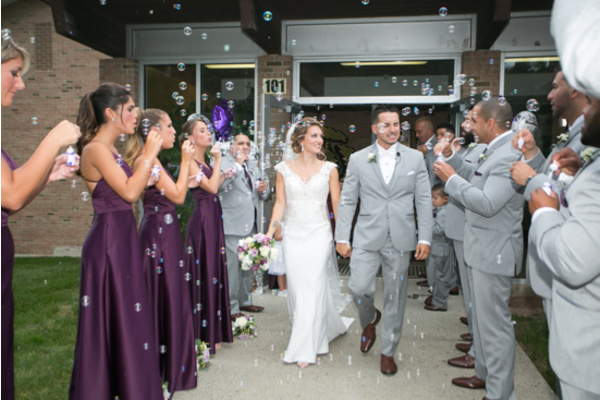 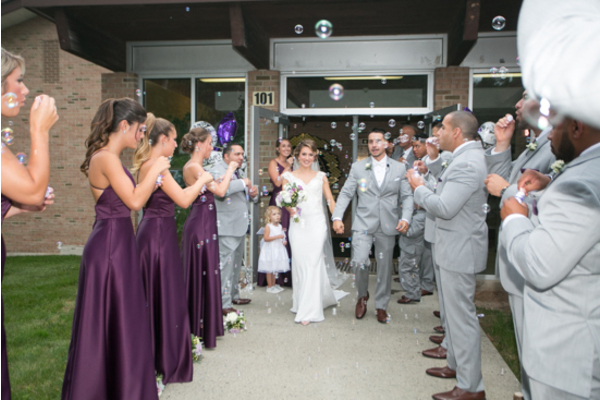 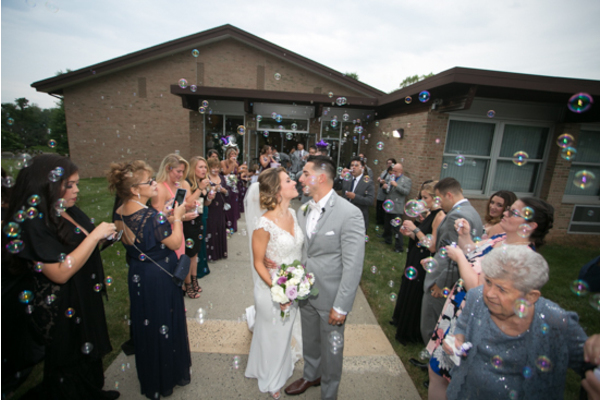 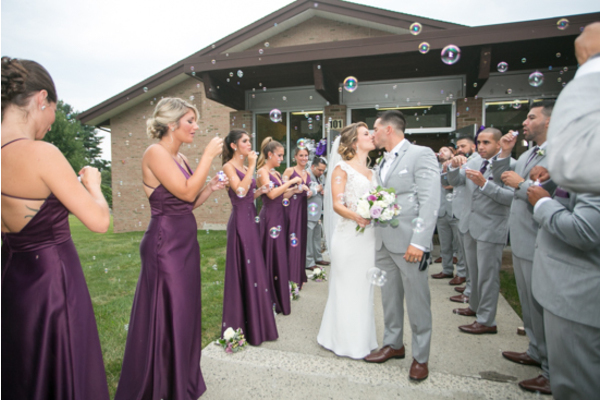 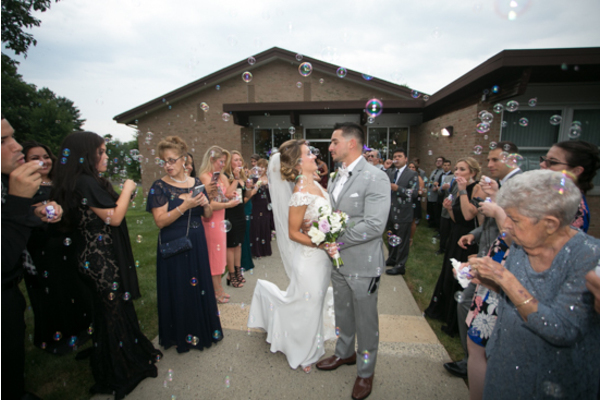 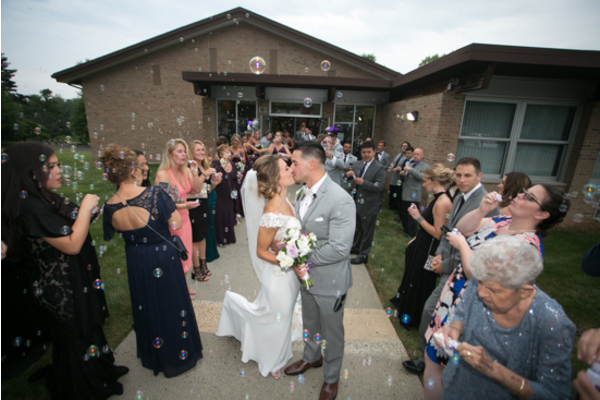 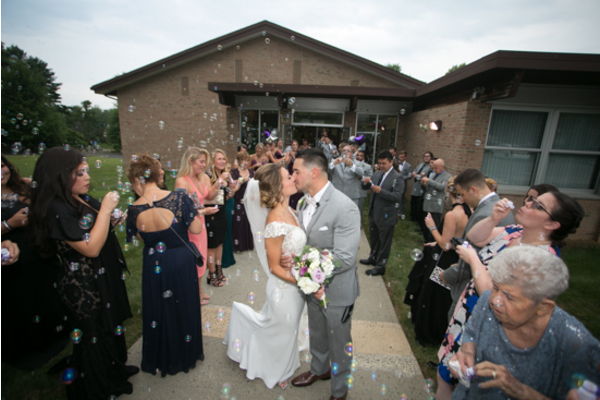 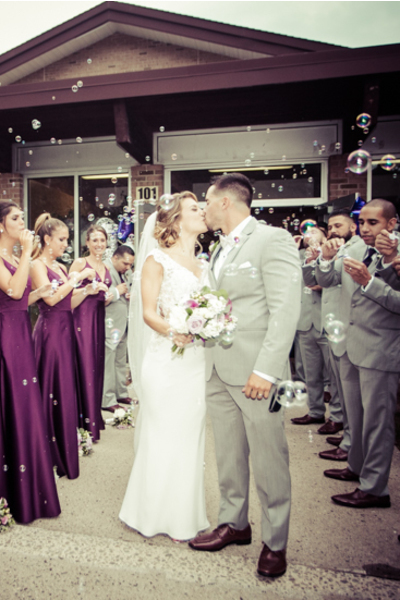 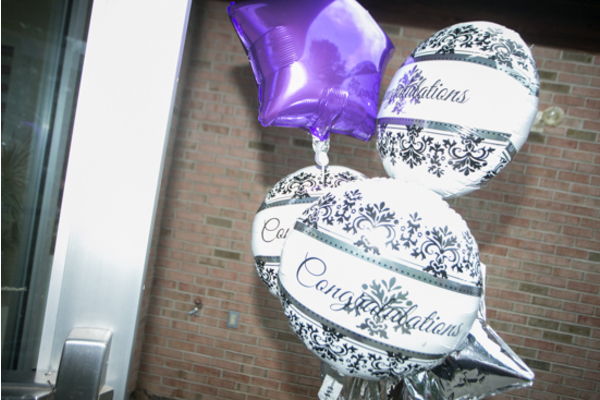 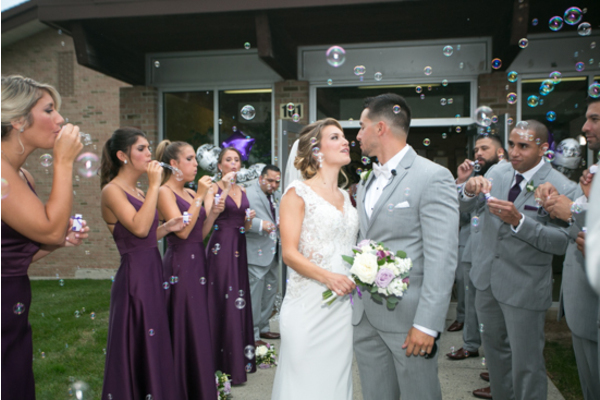 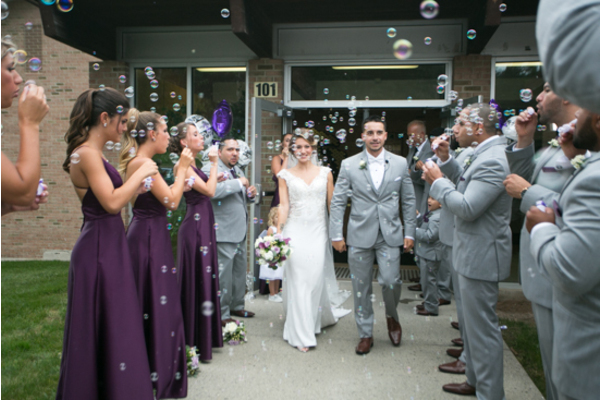 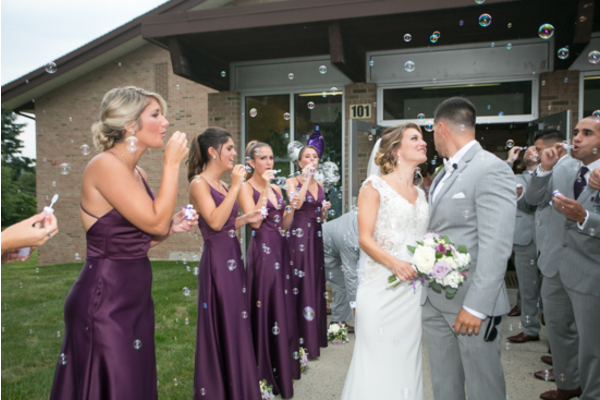 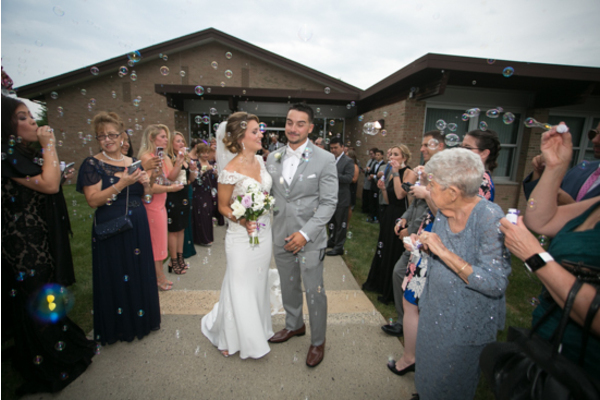 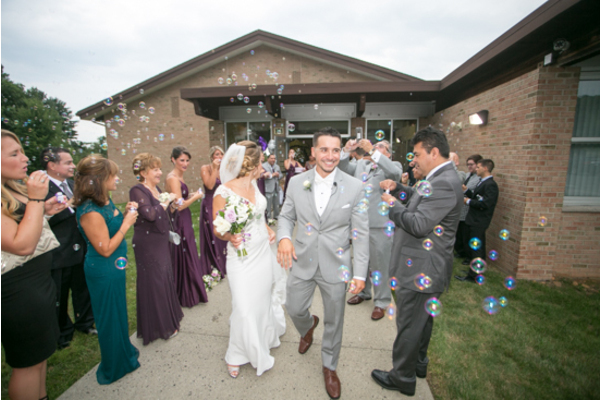 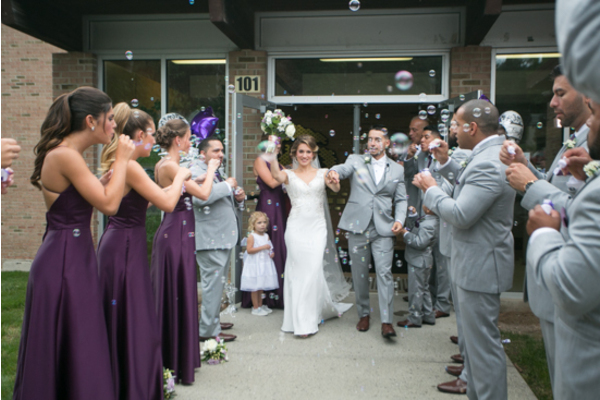 As they made their way outside, they got a shower of bubbles from their family and friends! 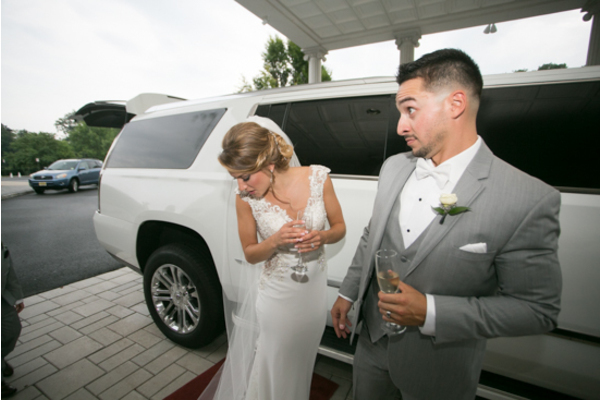 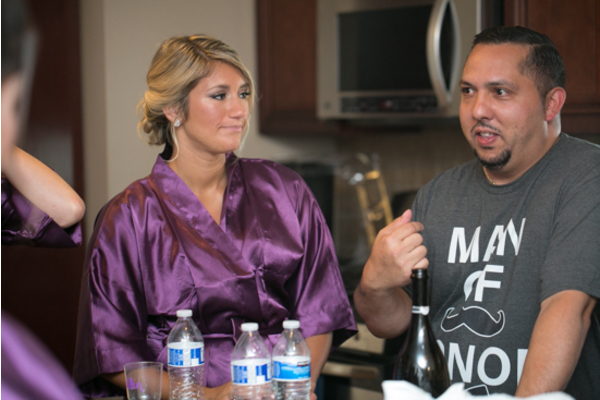 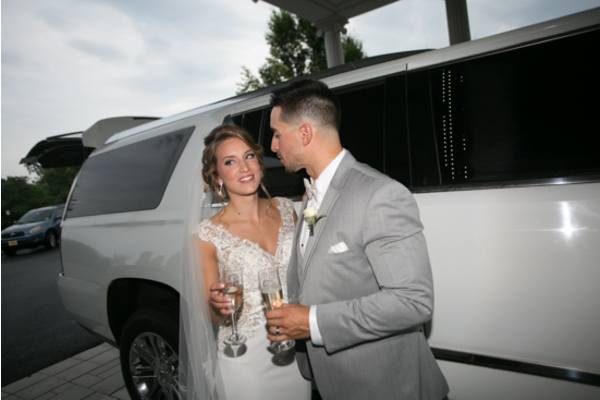 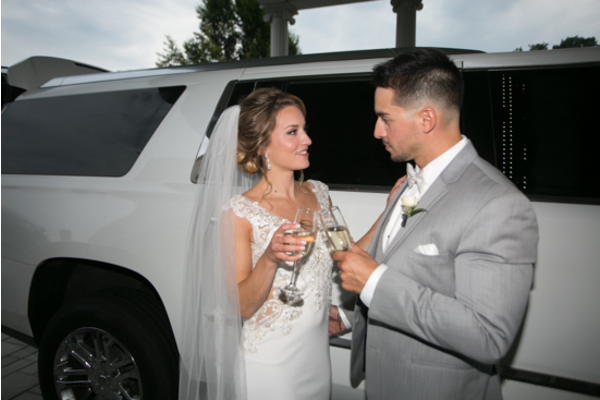 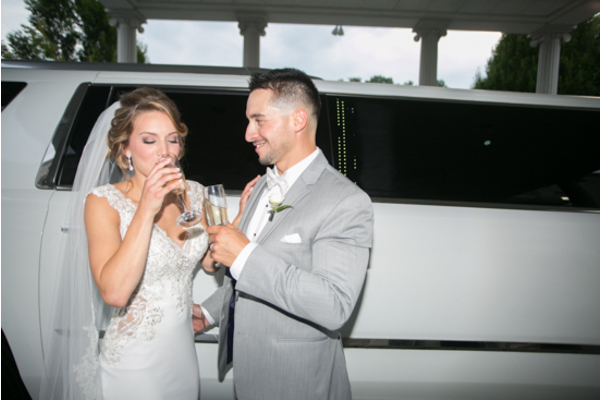 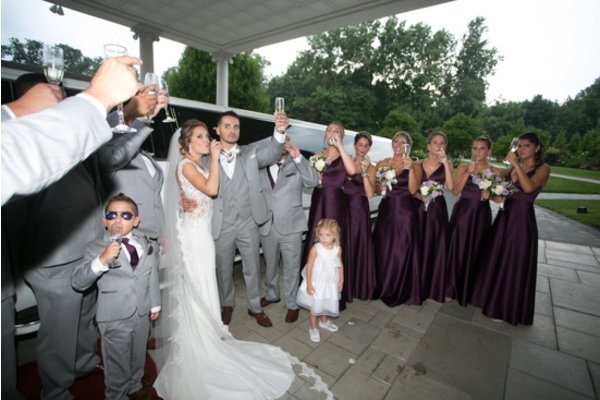 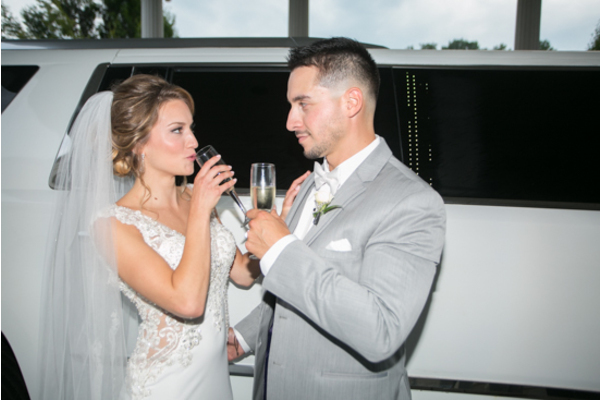 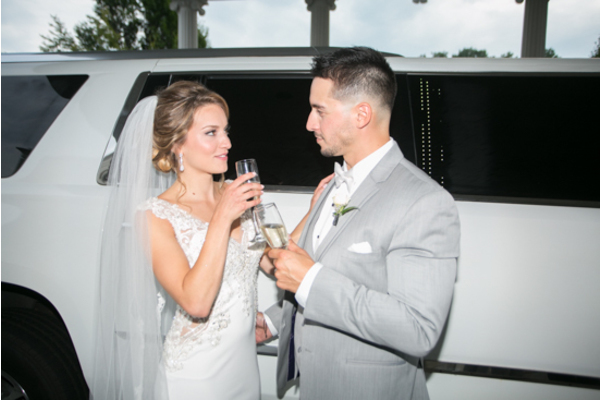 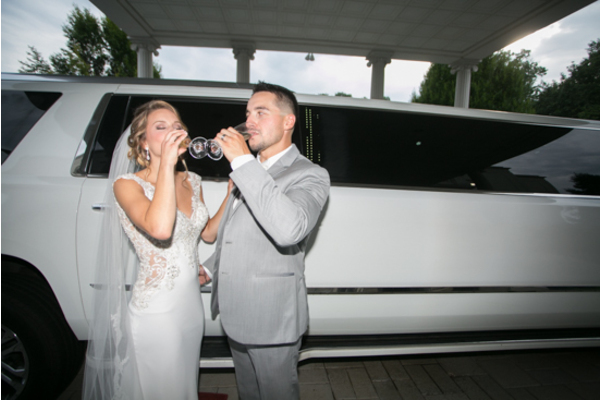 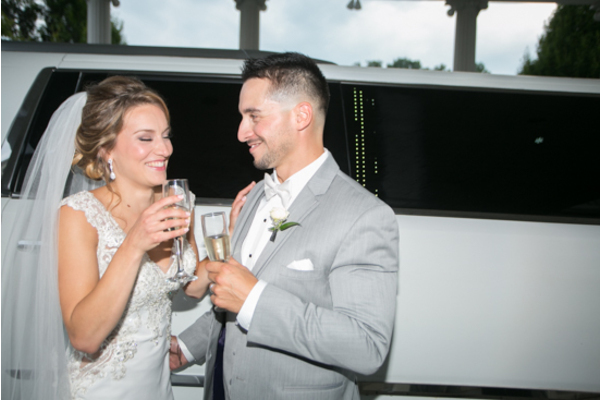 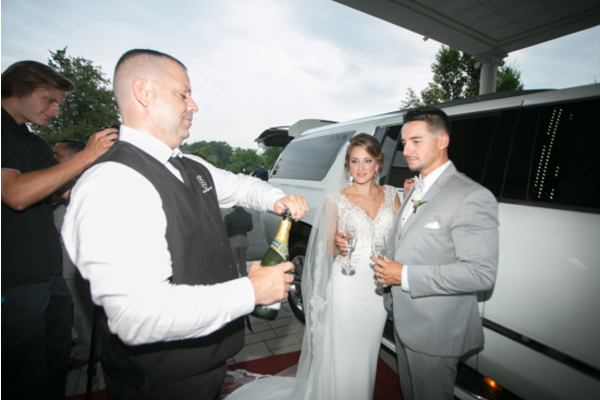 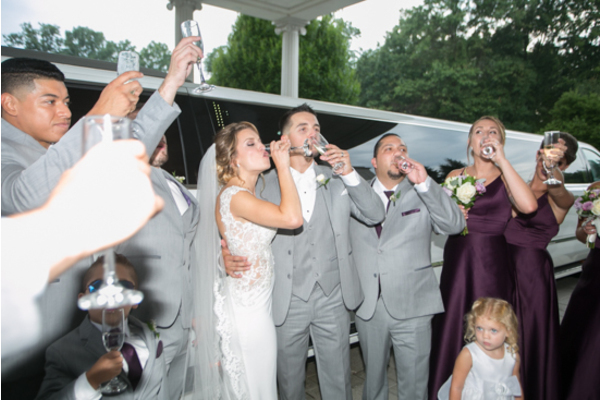 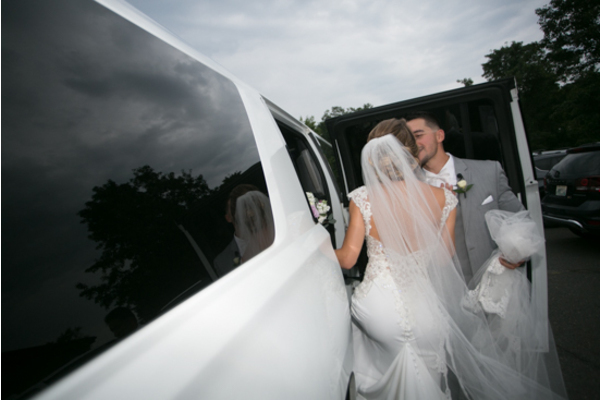 The bride and groom cheered with their glasses of champagne and got into their white stretch limo. 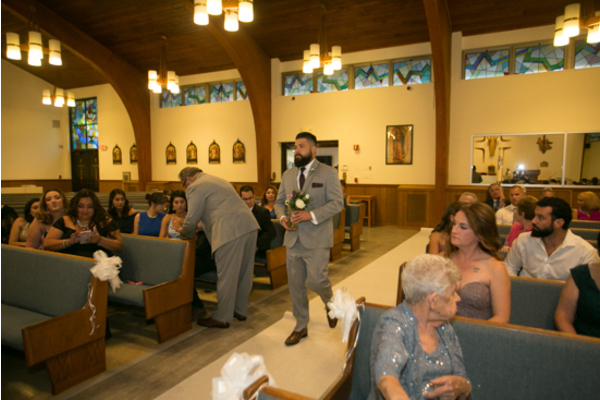 Finally, it was reception time! 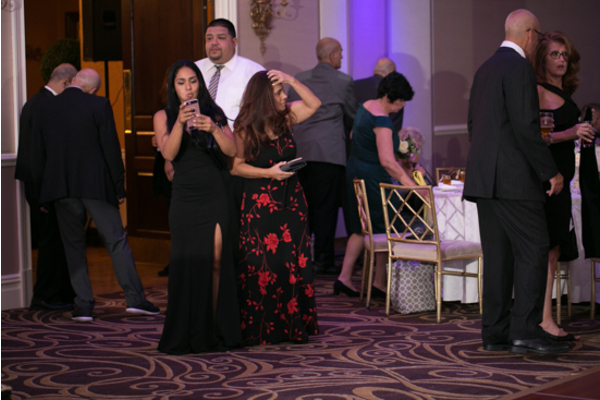 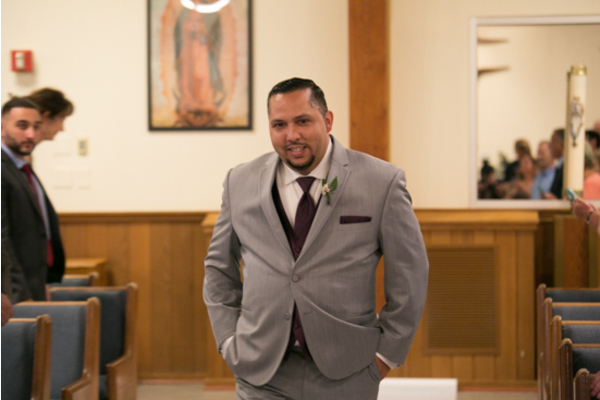 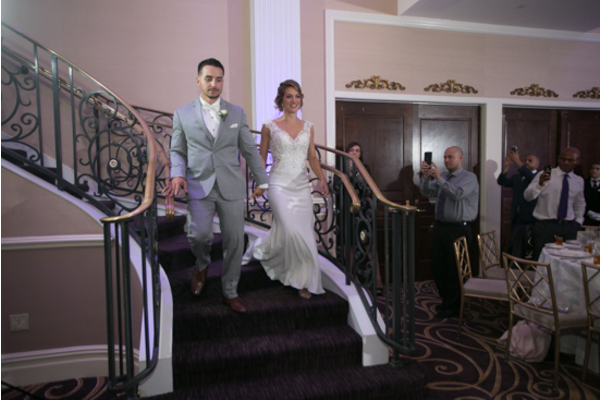 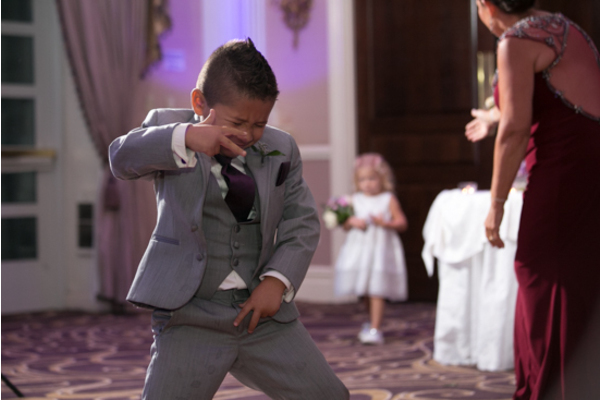 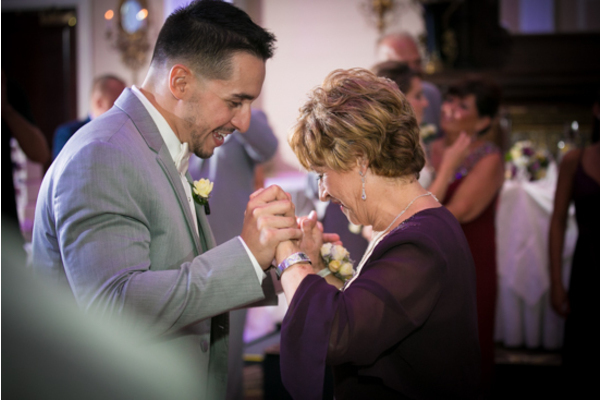 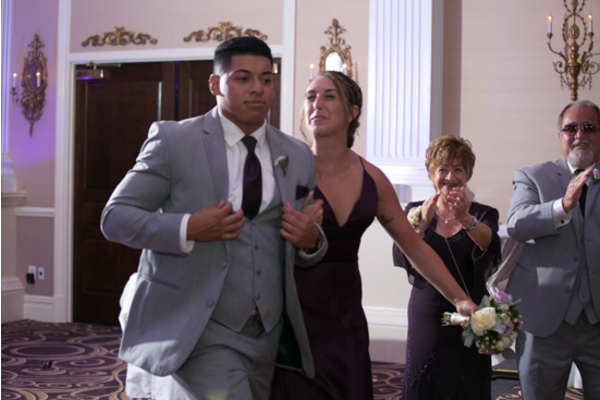 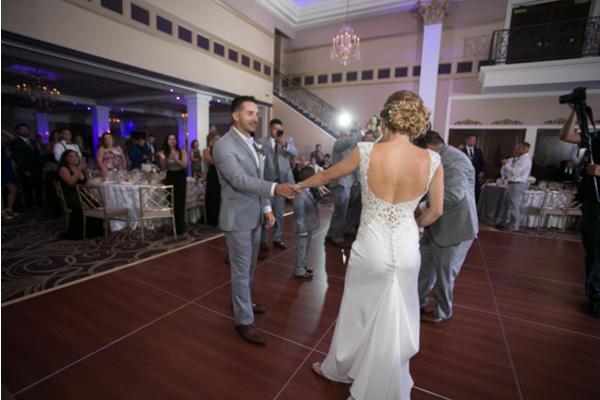 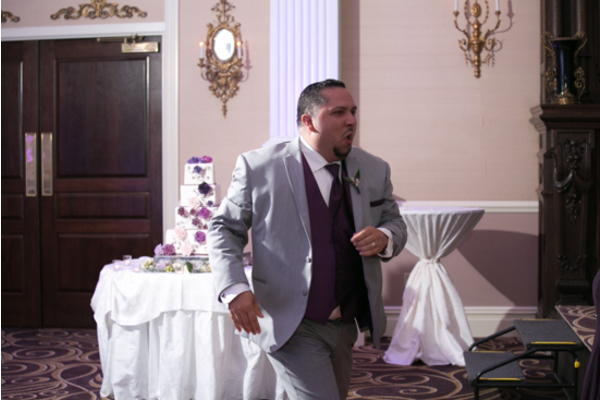 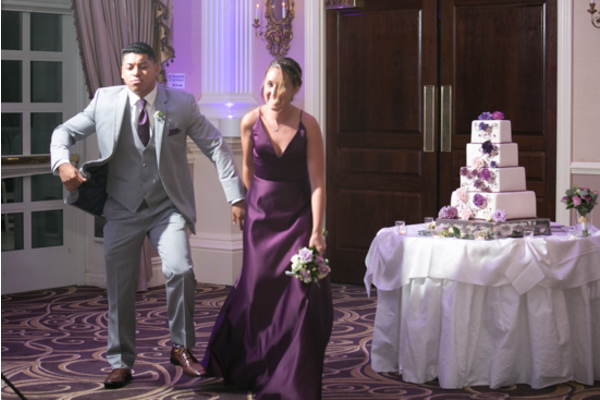 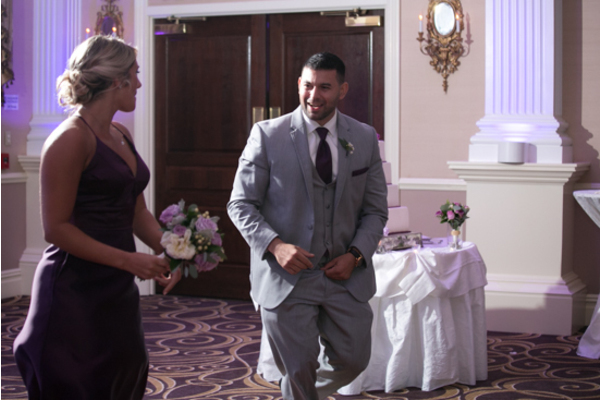 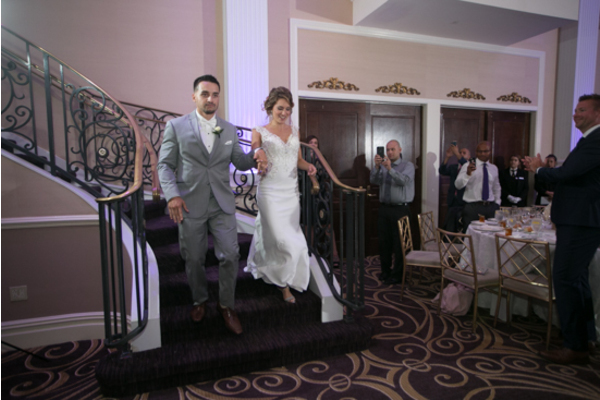 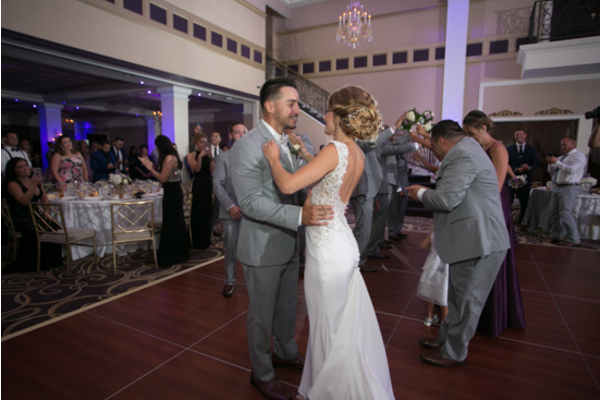 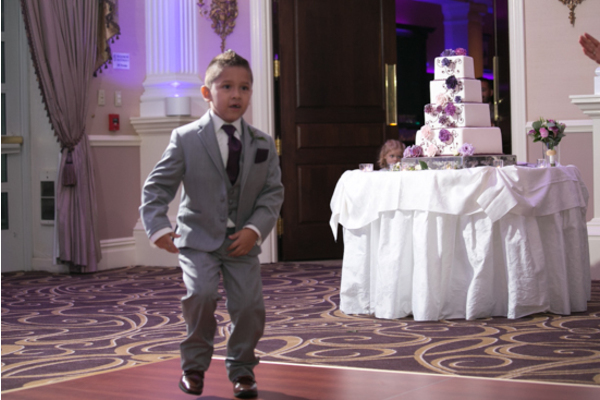 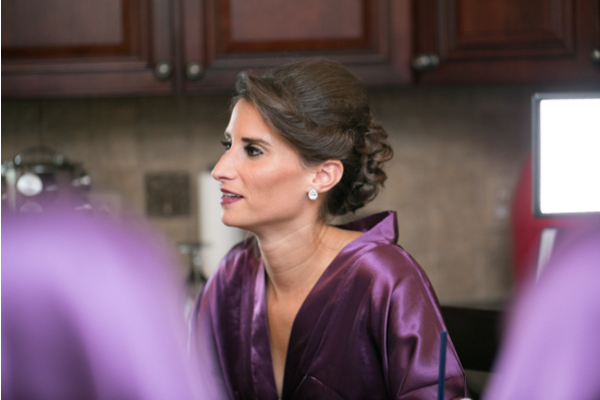 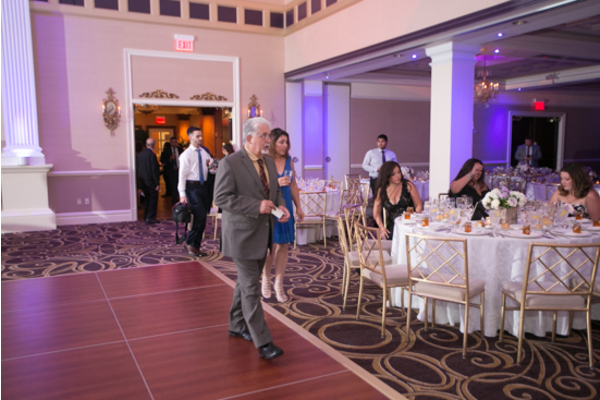 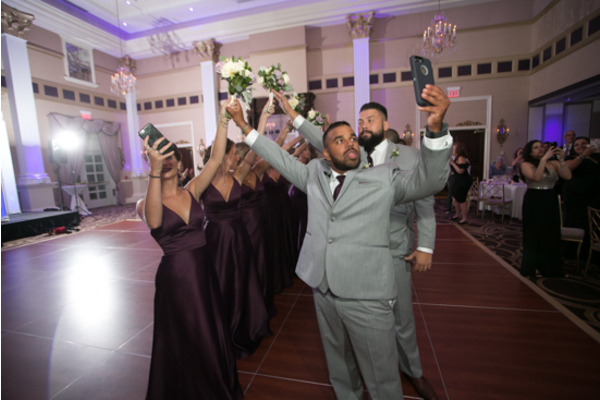 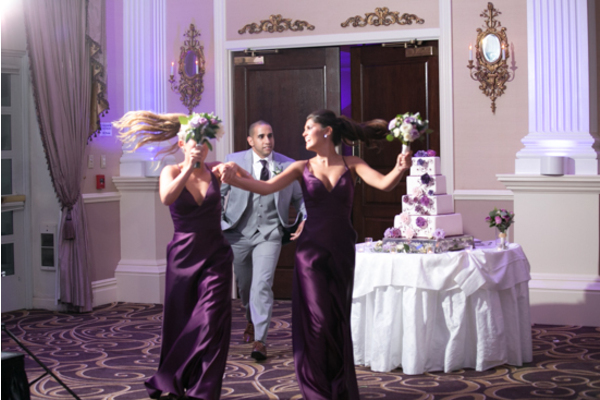 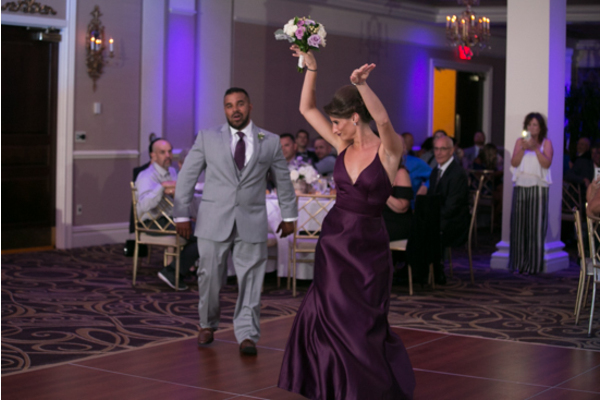 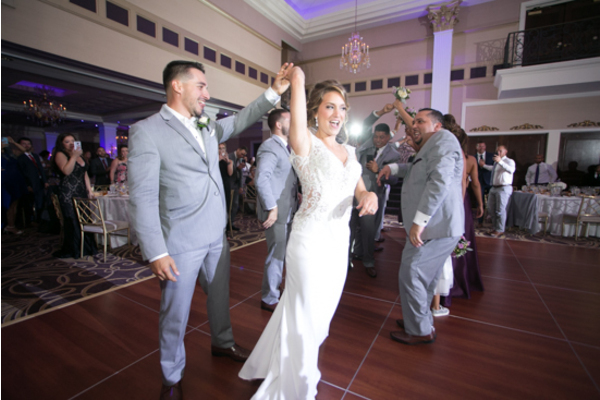 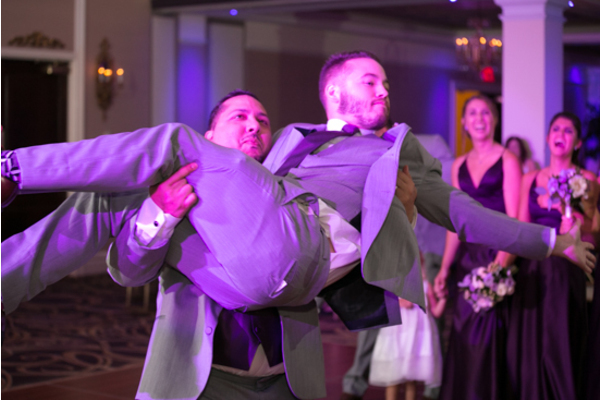 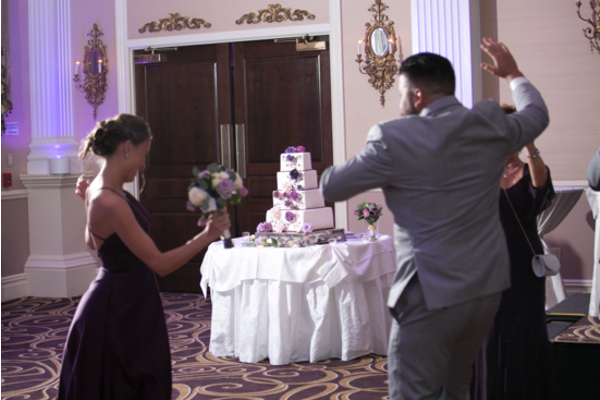 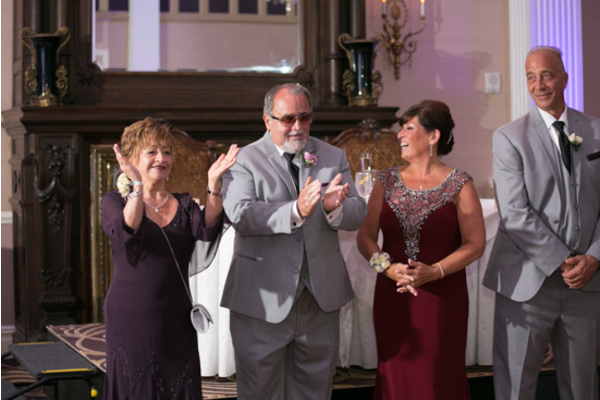 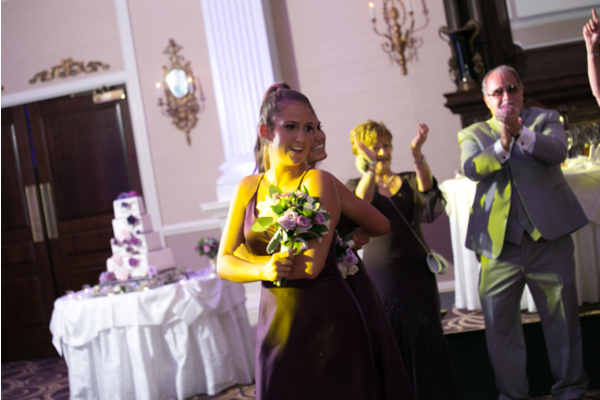 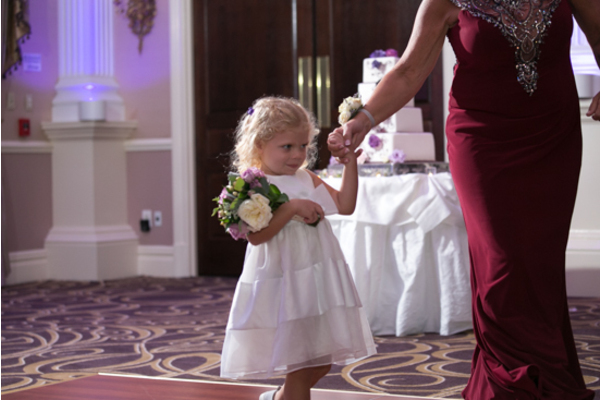 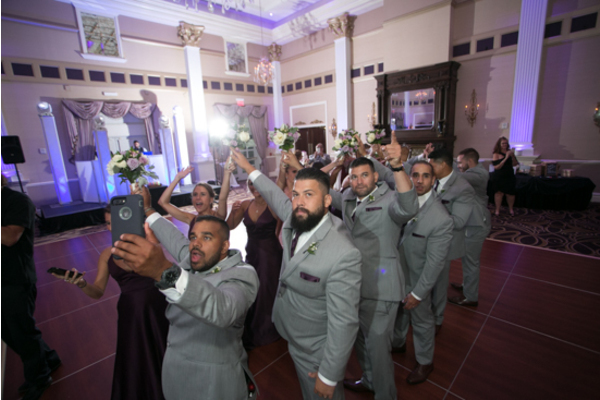 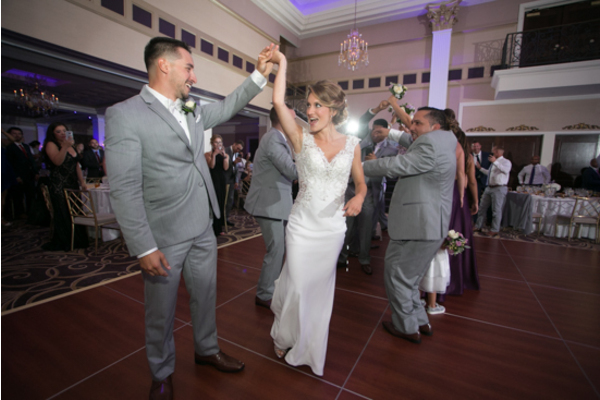 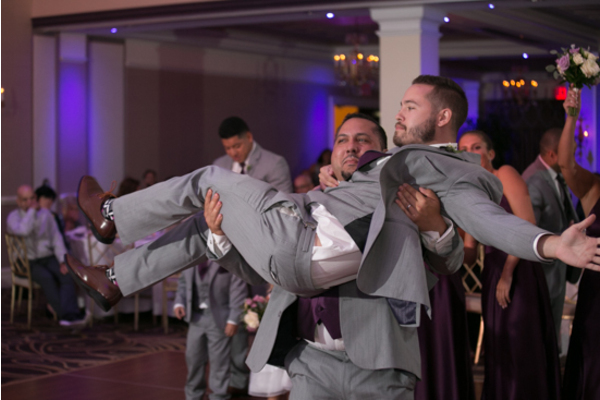 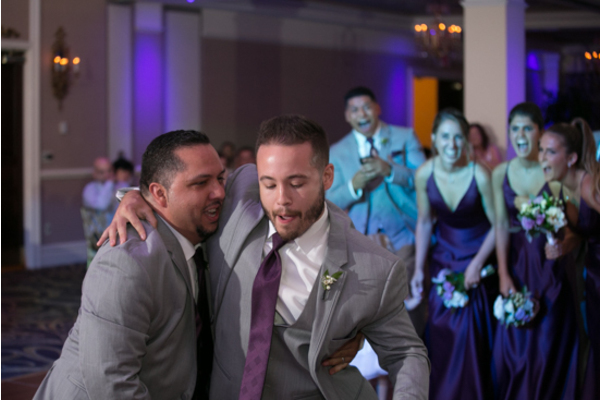 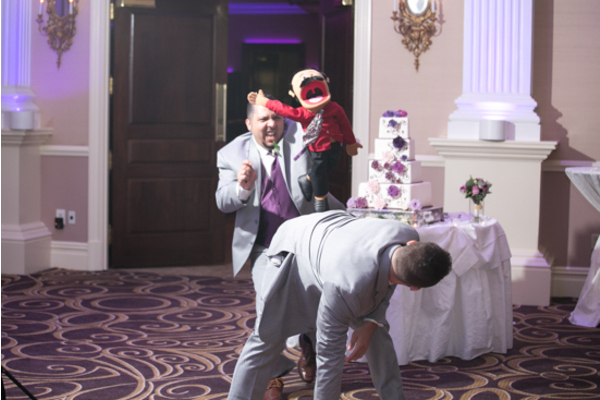 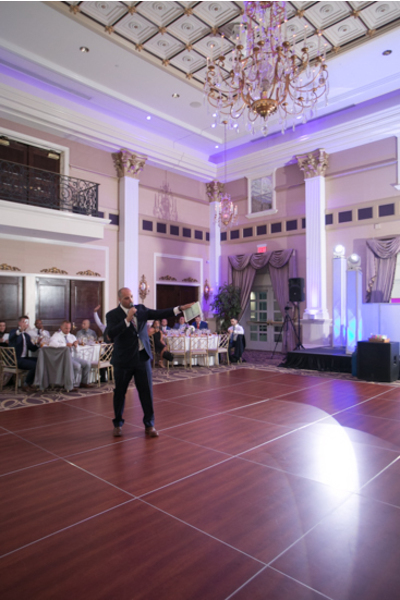 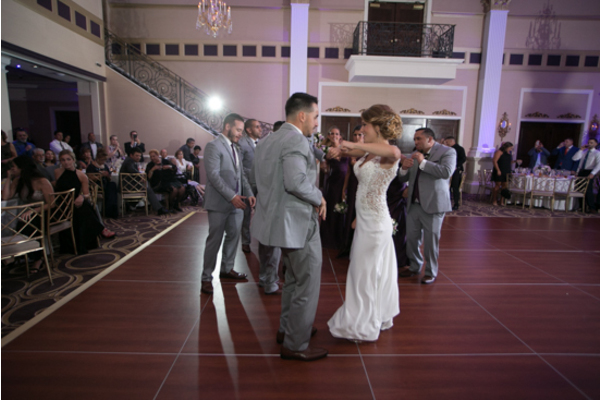 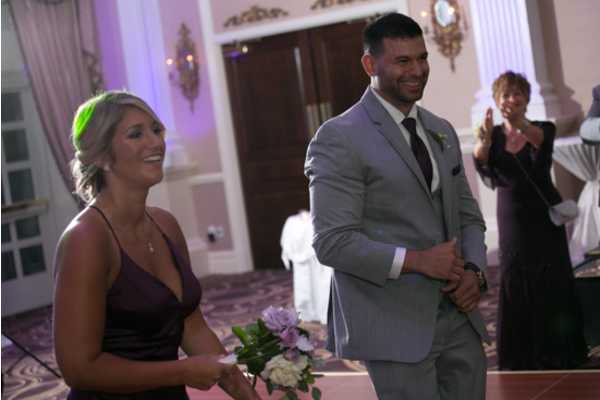 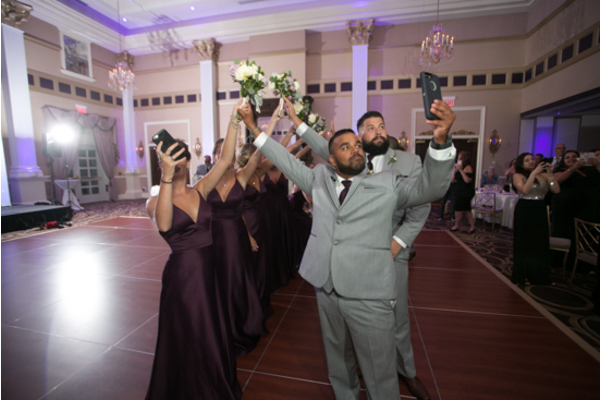 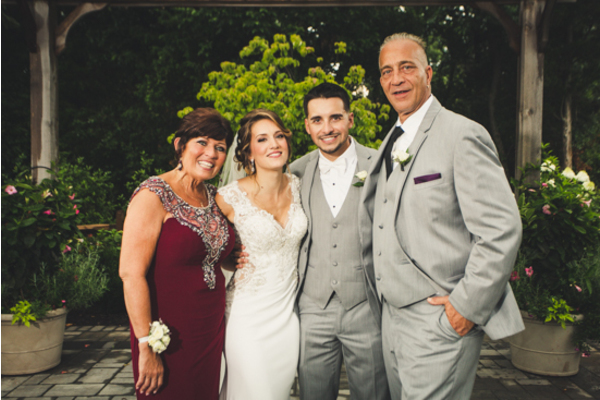 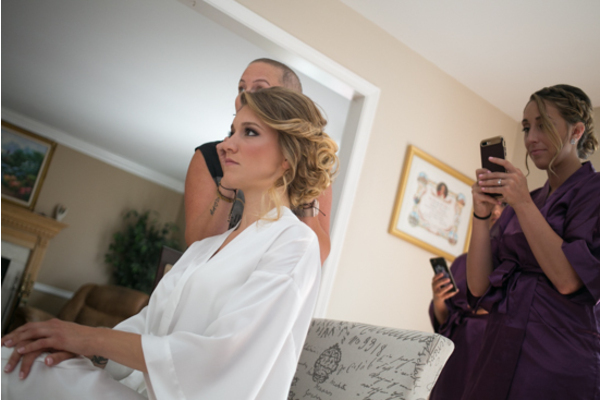 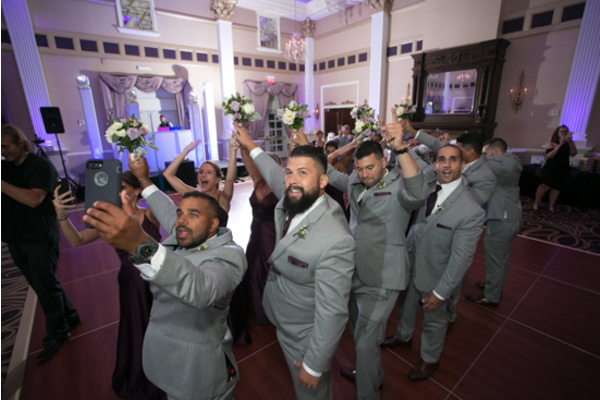 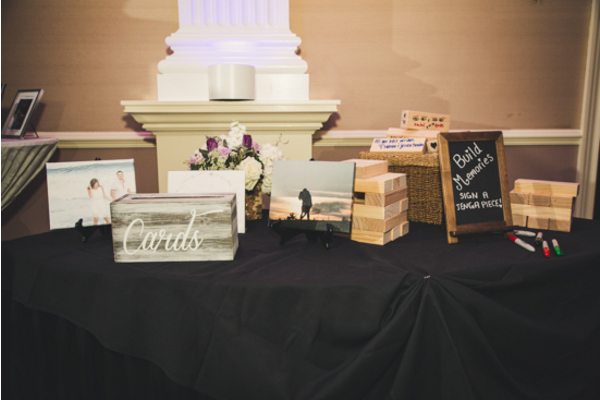 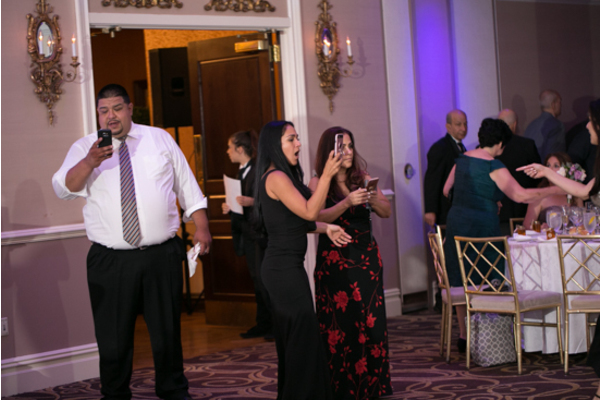 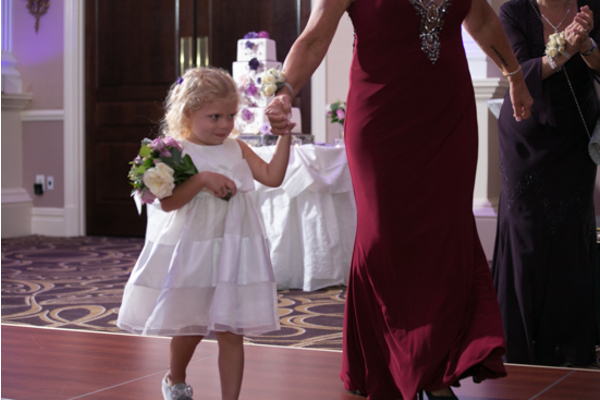 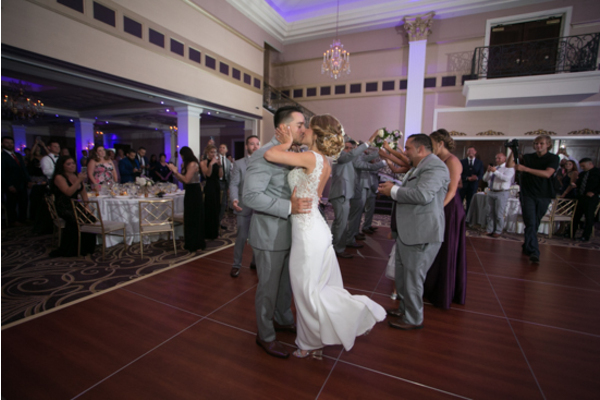 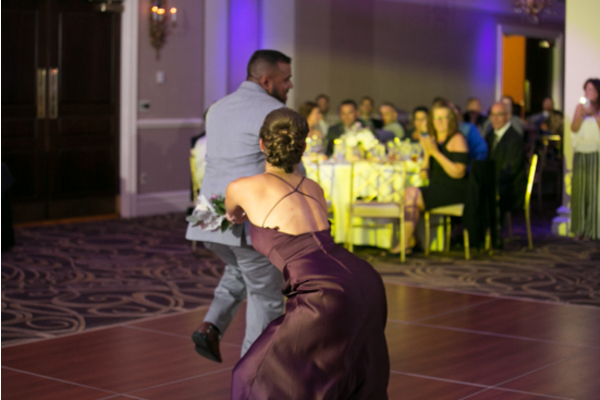 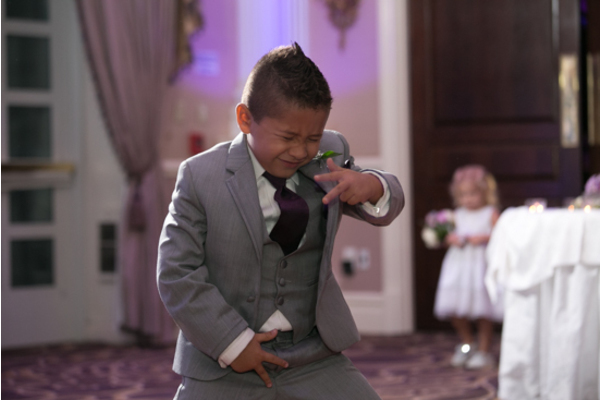 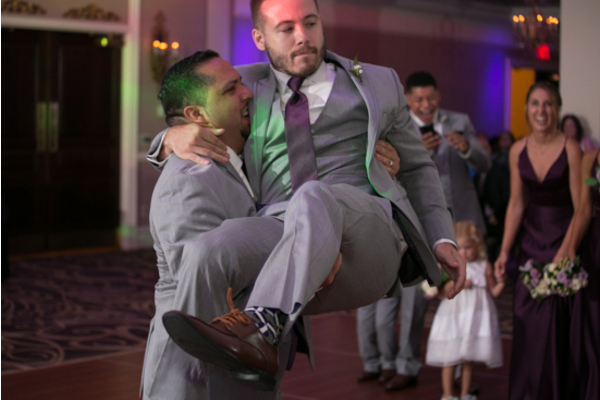 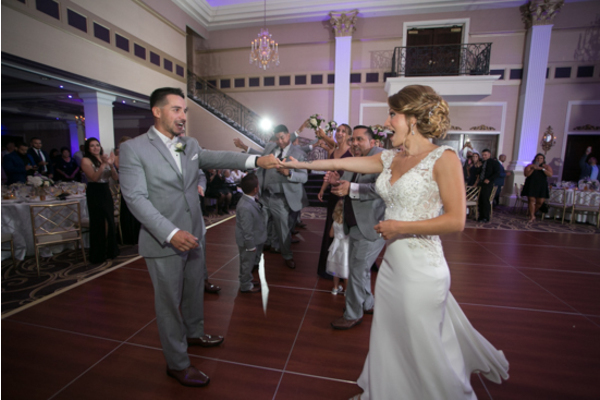 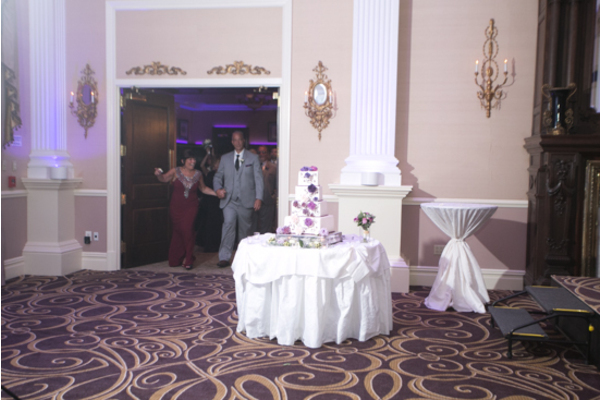 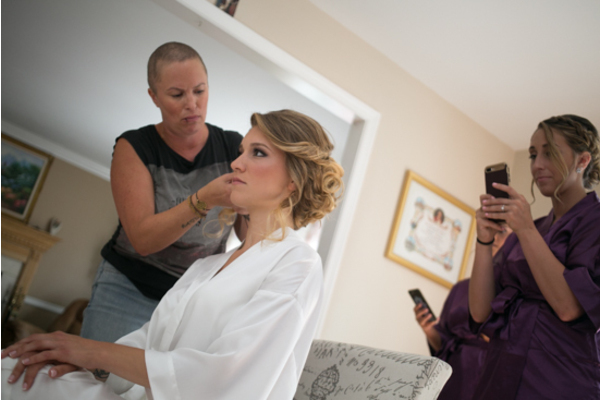 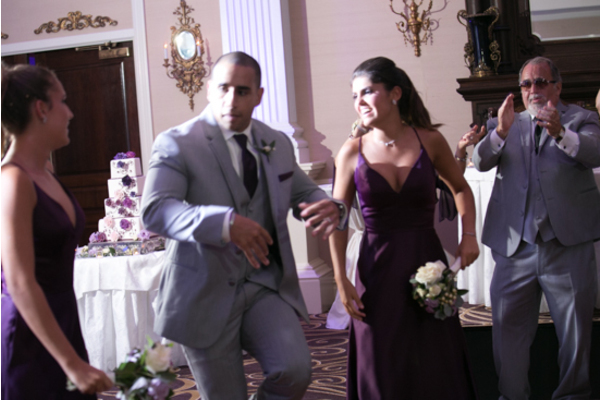 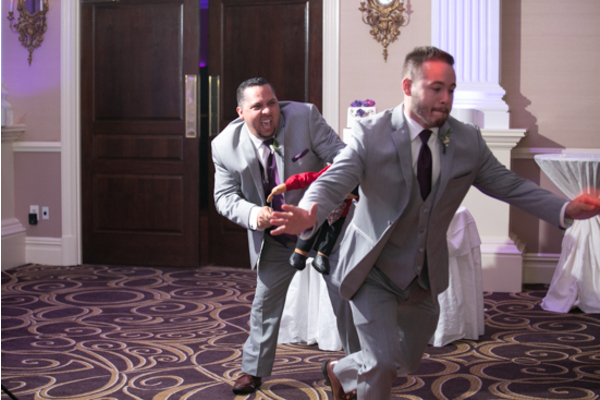 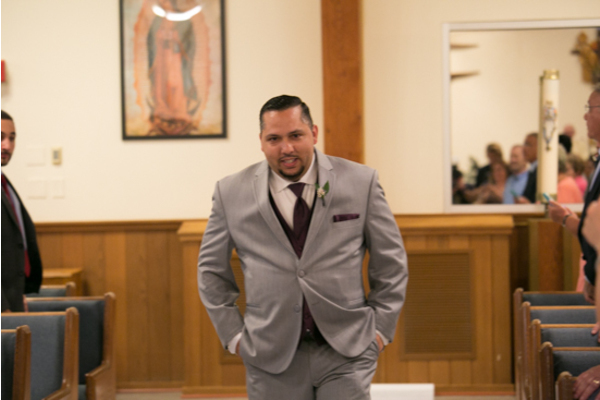 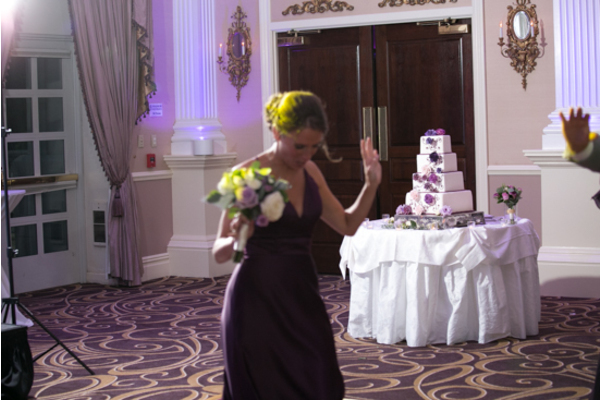 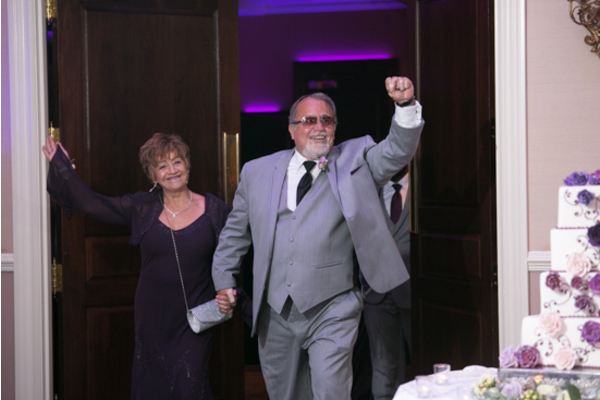 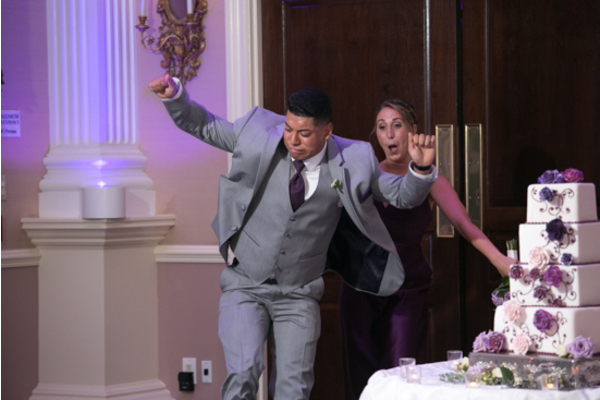 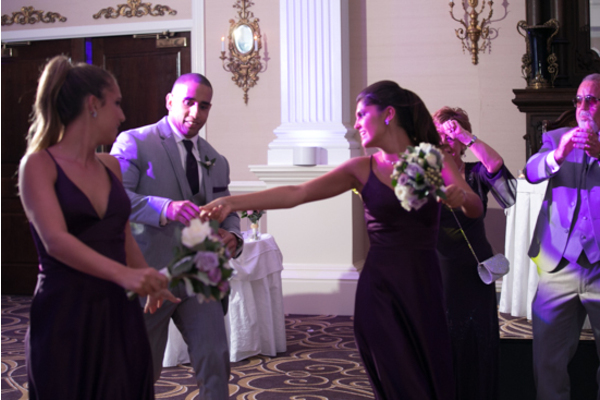 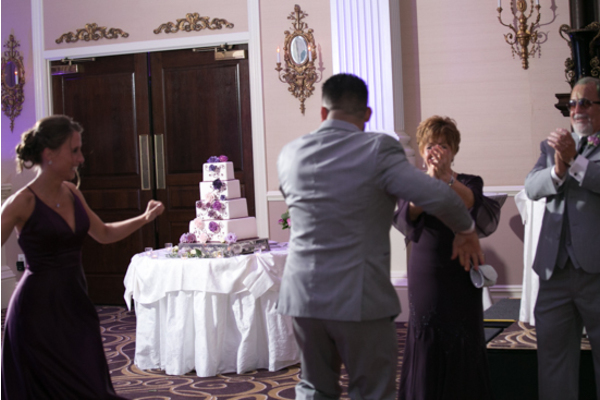 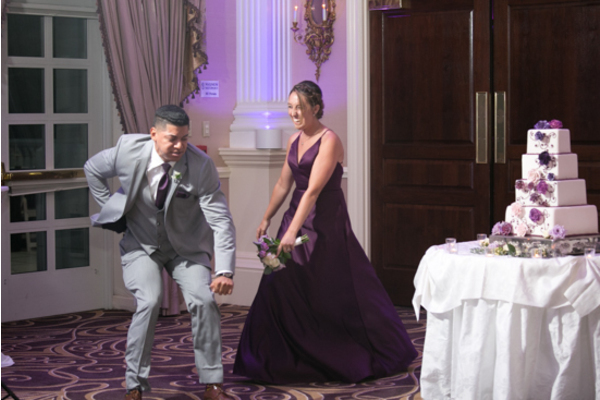 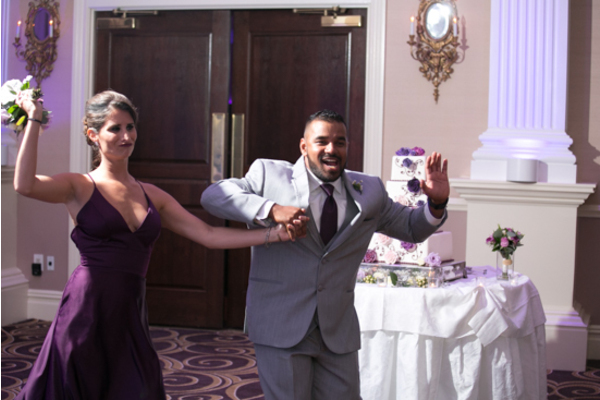 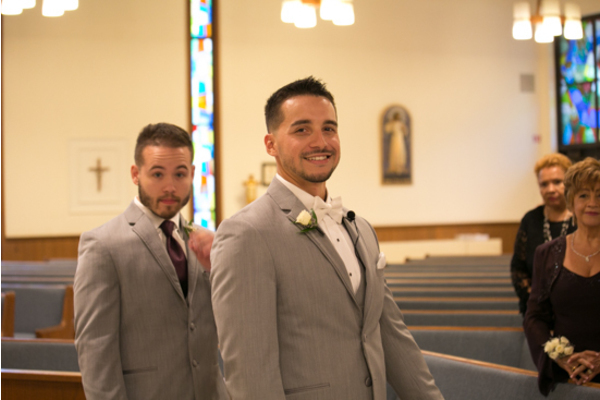 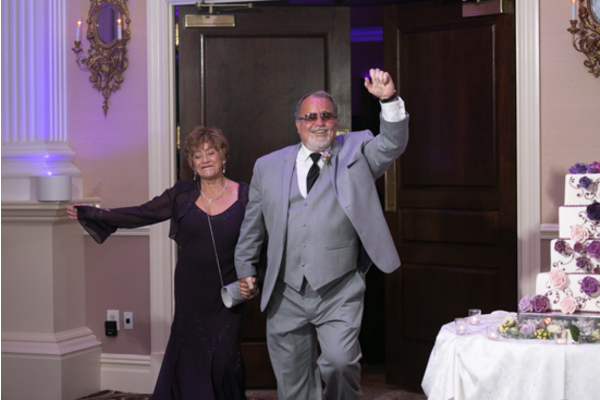 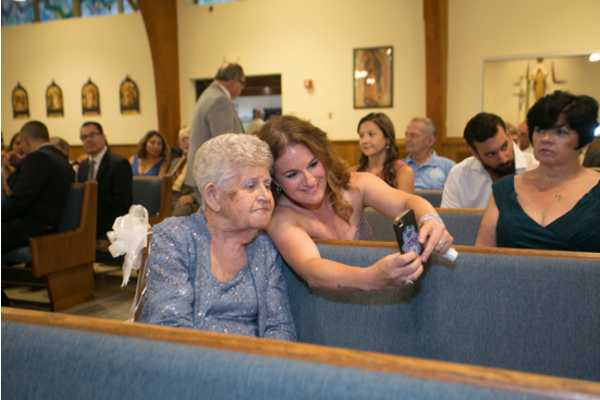 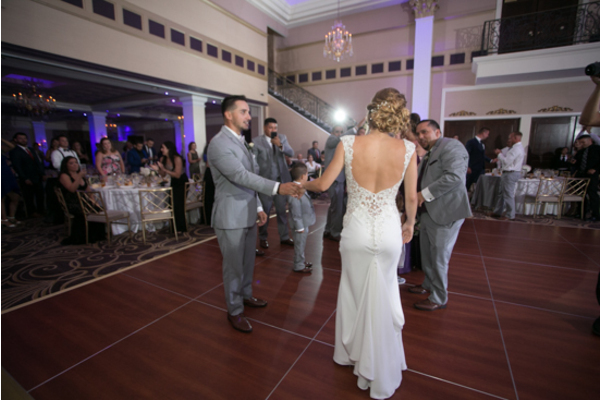 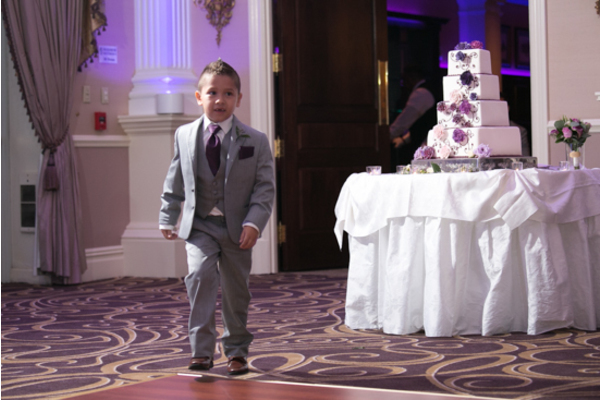 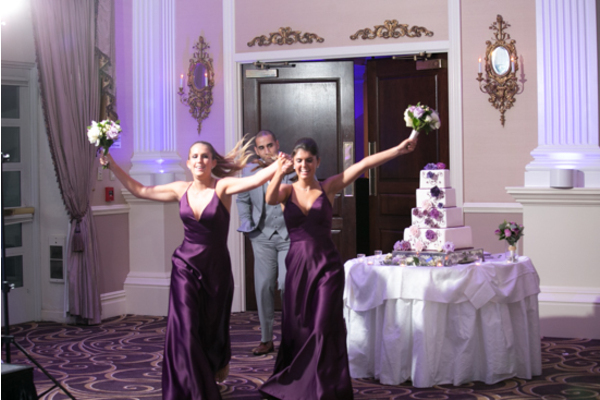 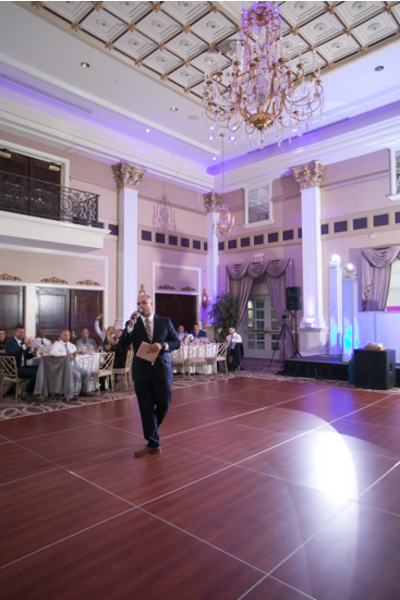 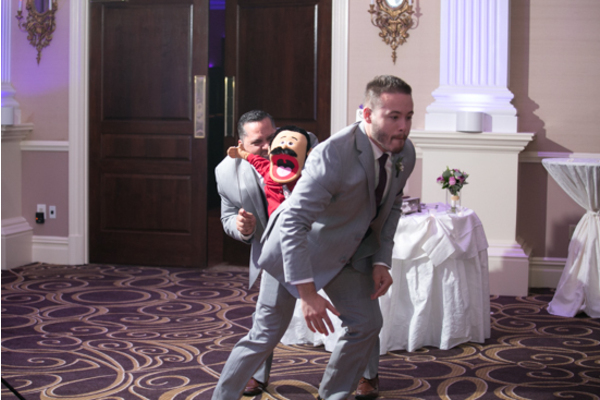 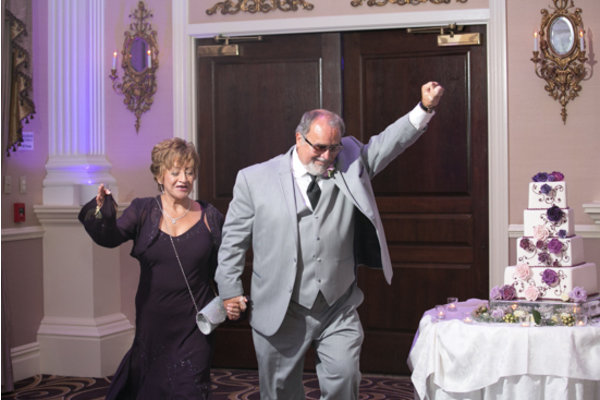 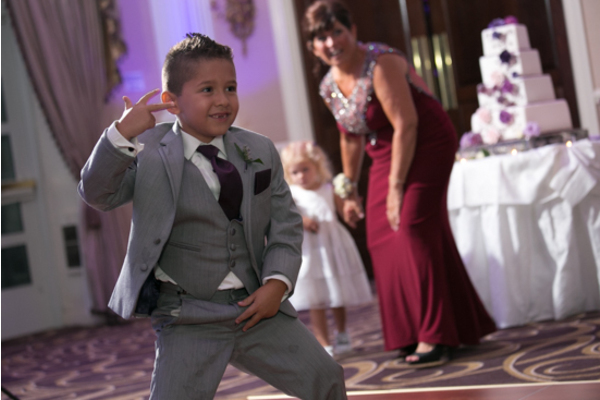 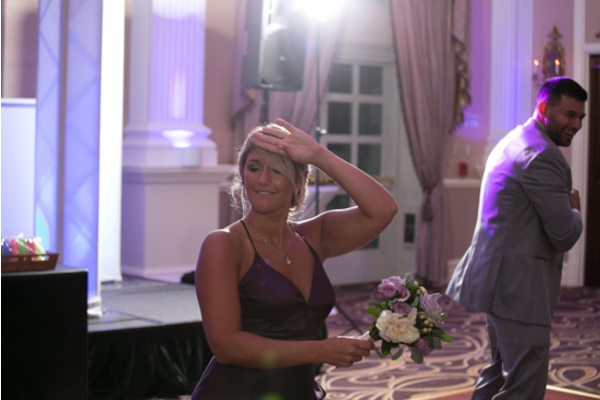 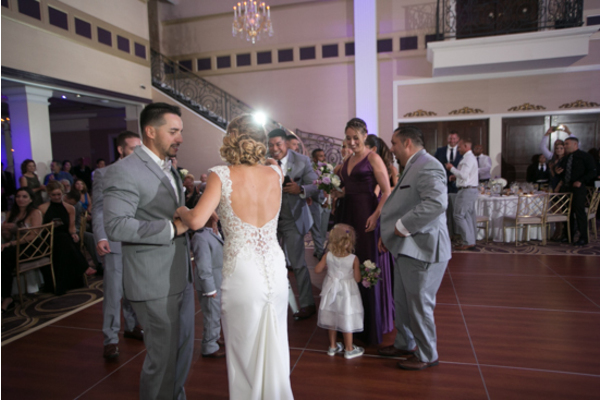 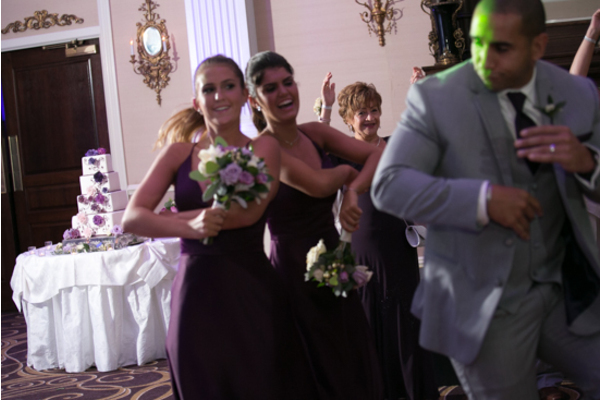 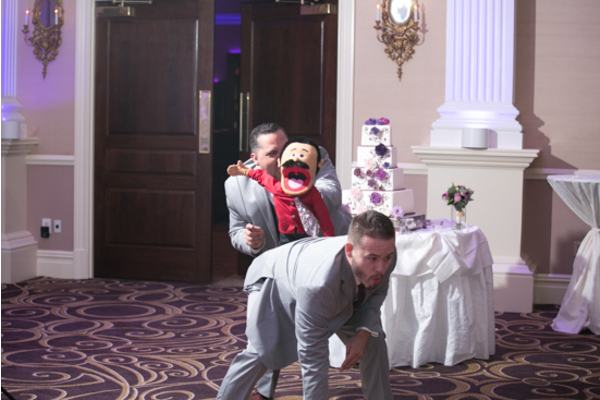 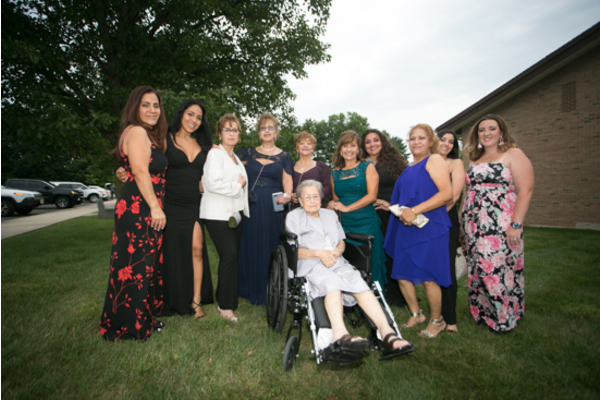 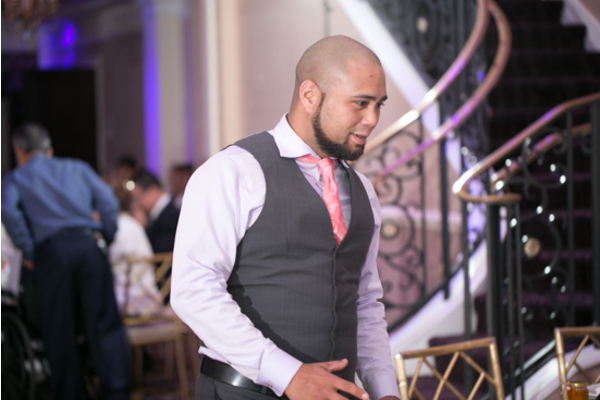 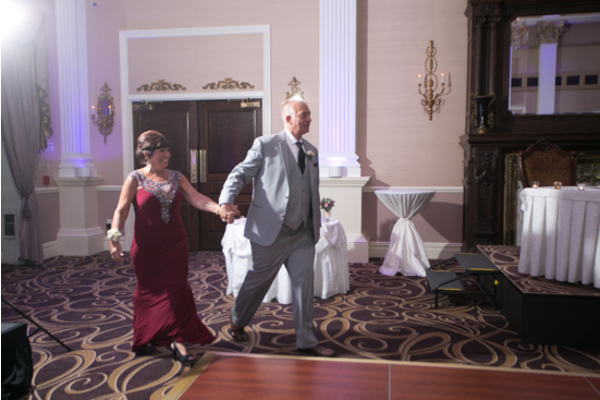 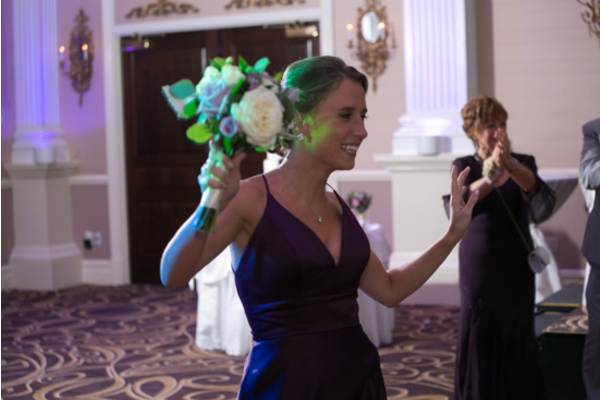 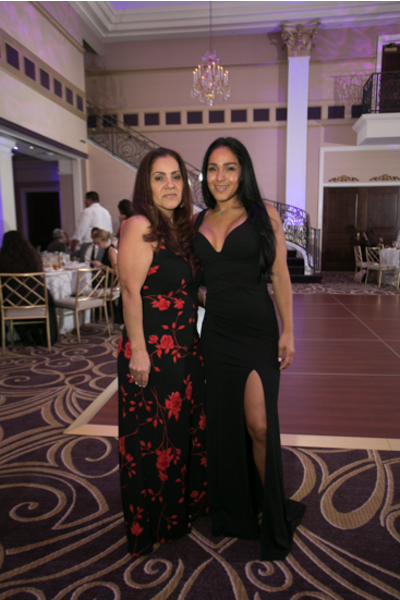 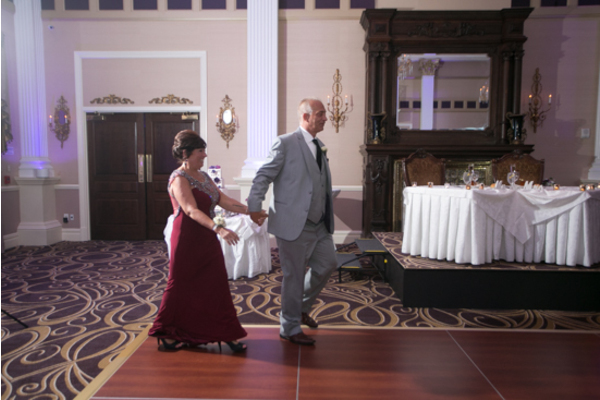 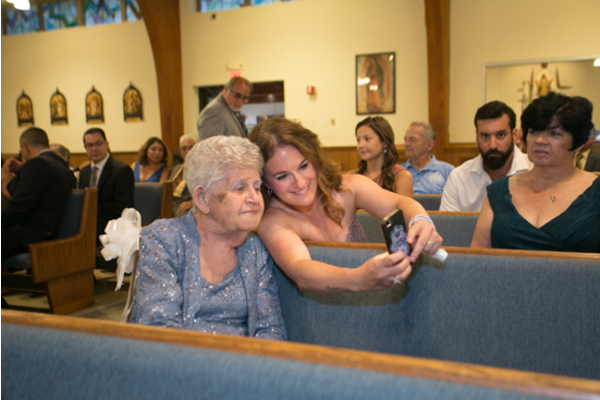 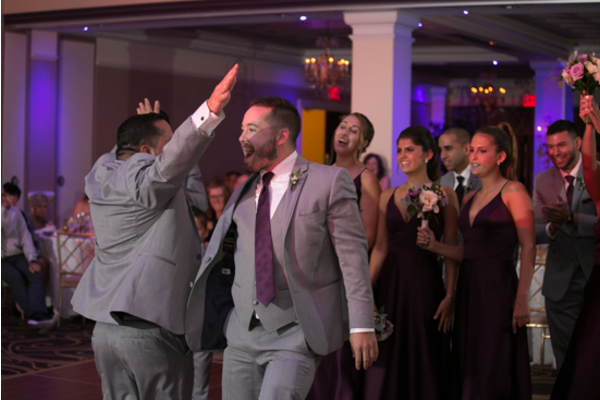 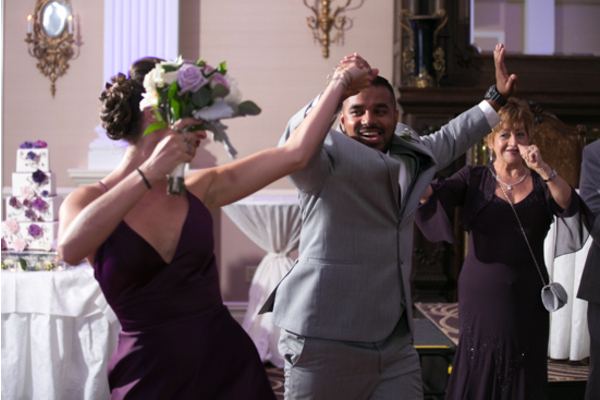 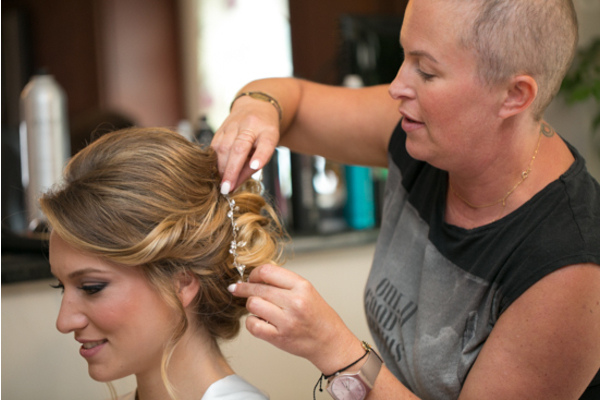 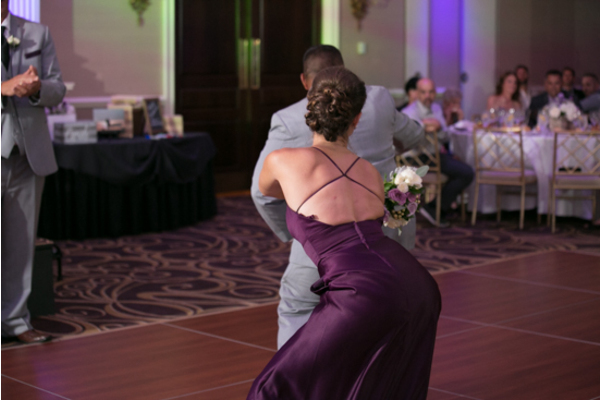 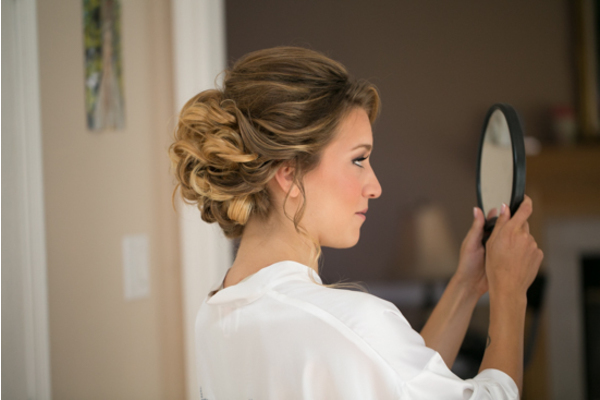 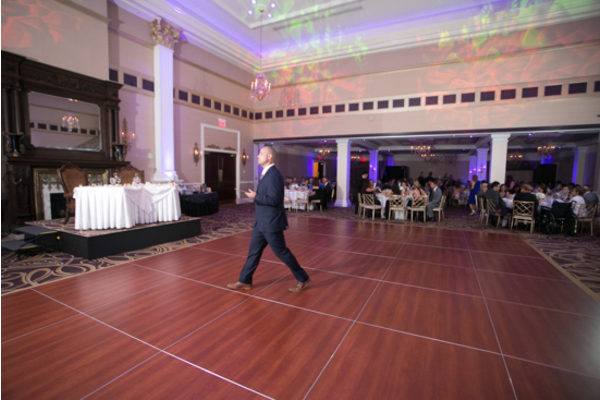 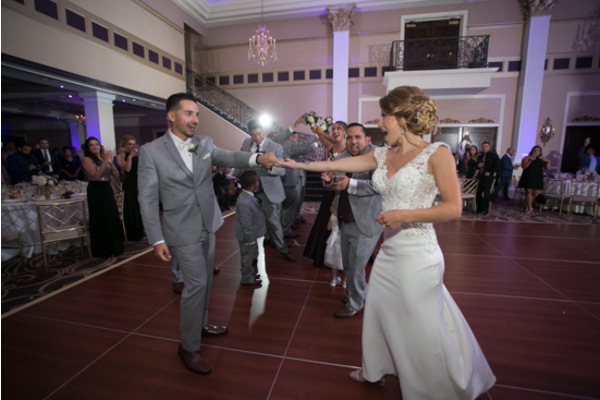 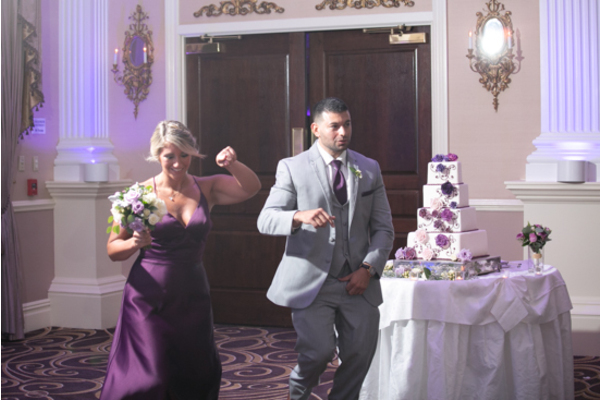 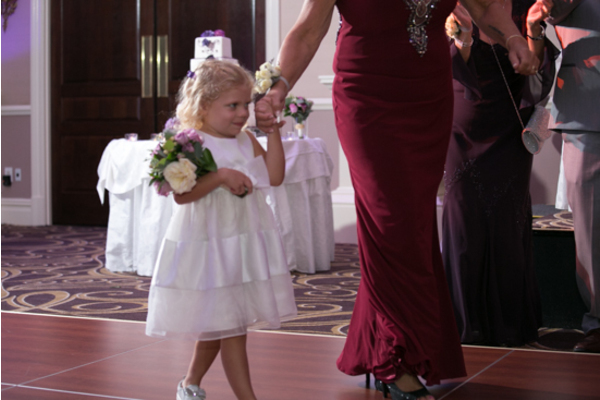 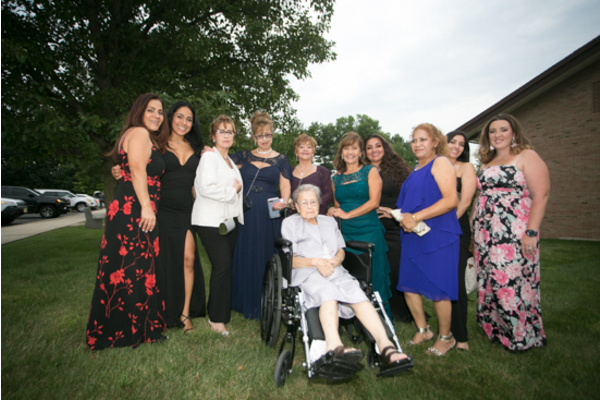 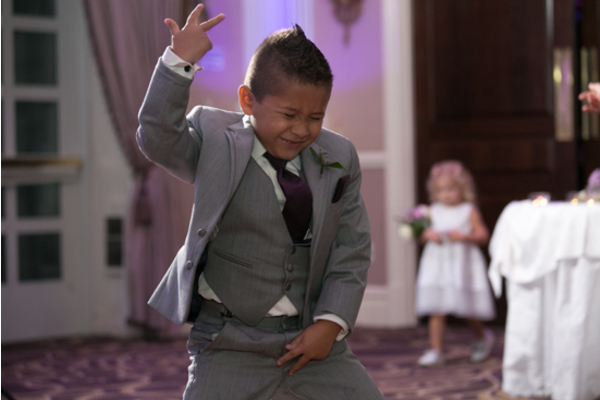 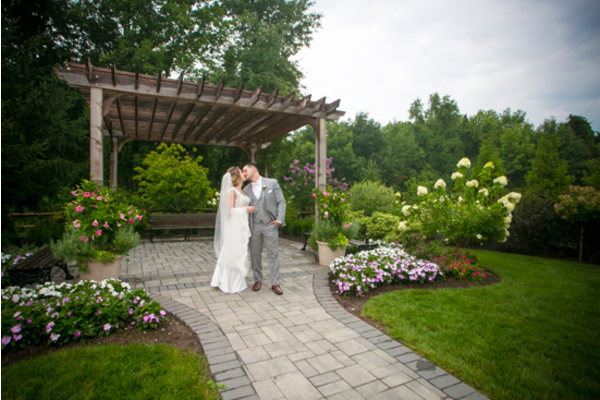 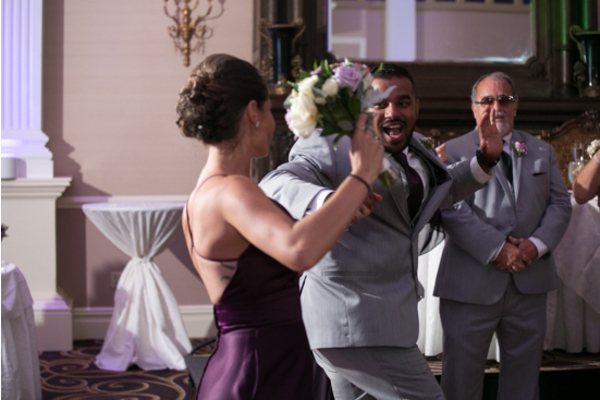 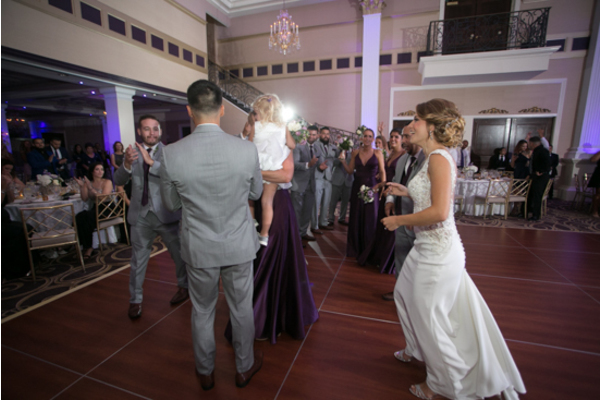 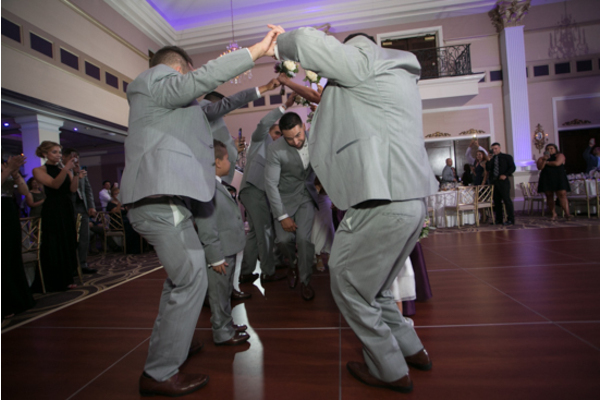 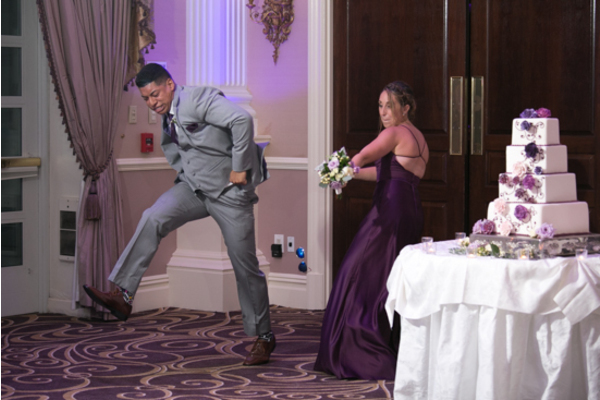 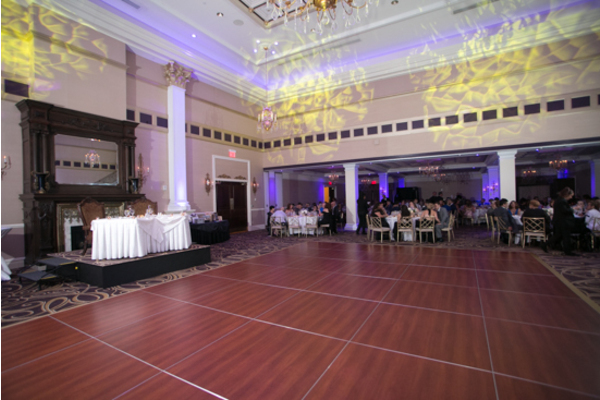 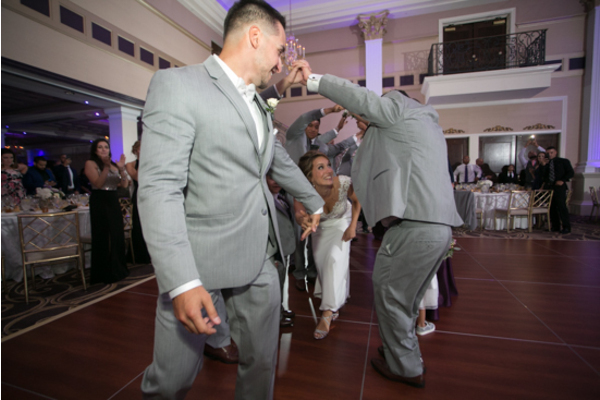 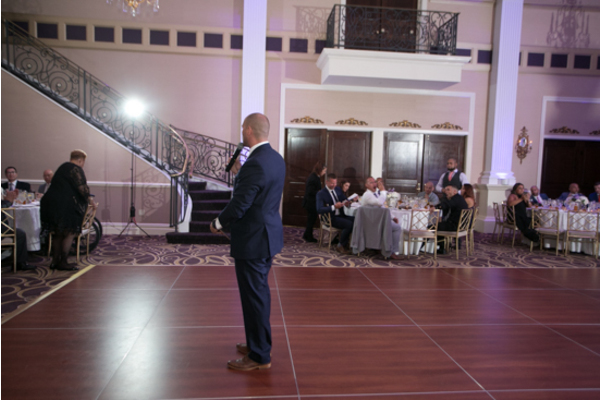 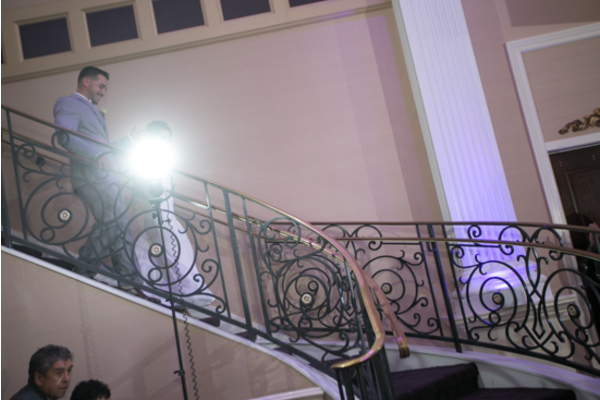 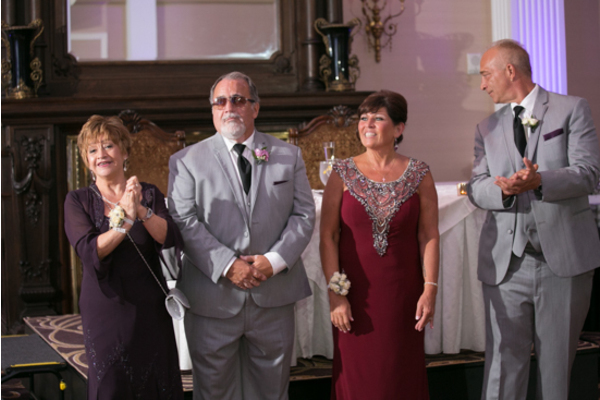 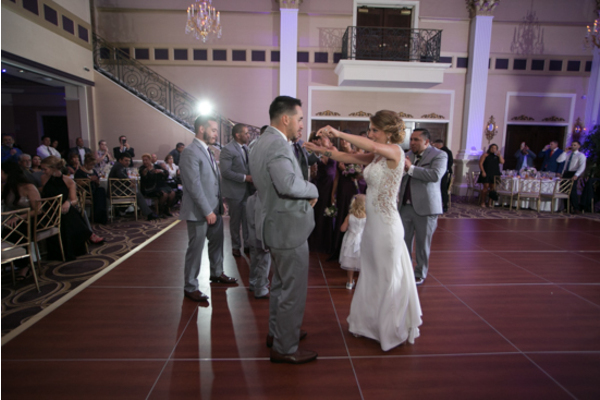 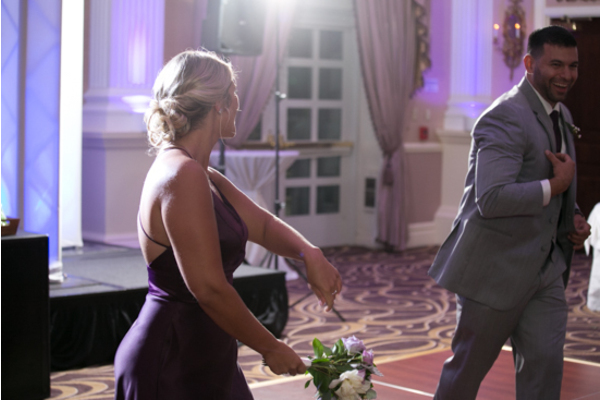 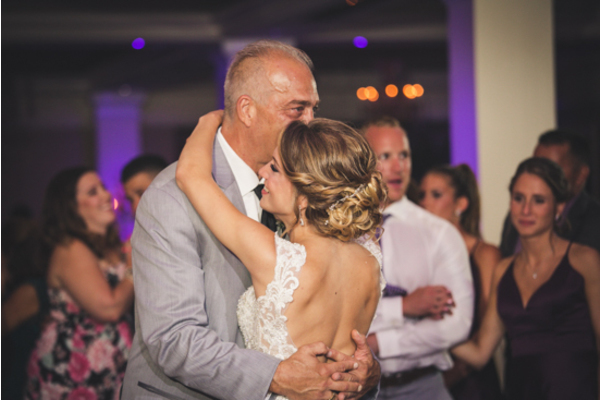 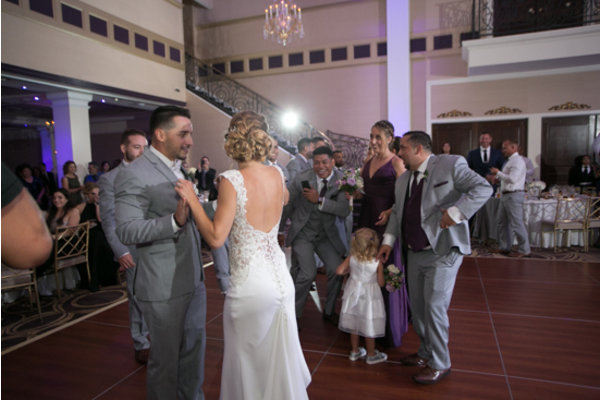 Our NJ Wedding Photographer was ready to capture guests beginning to flood the dance floor! 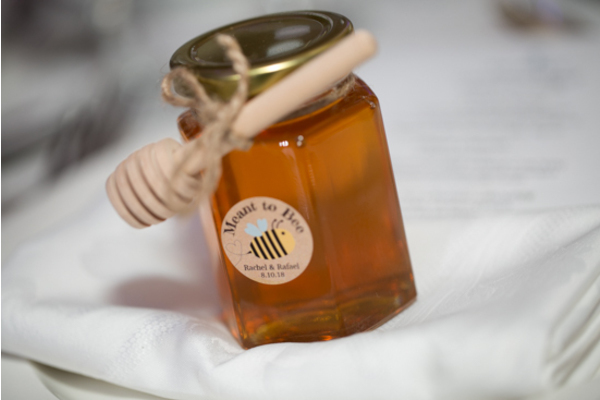 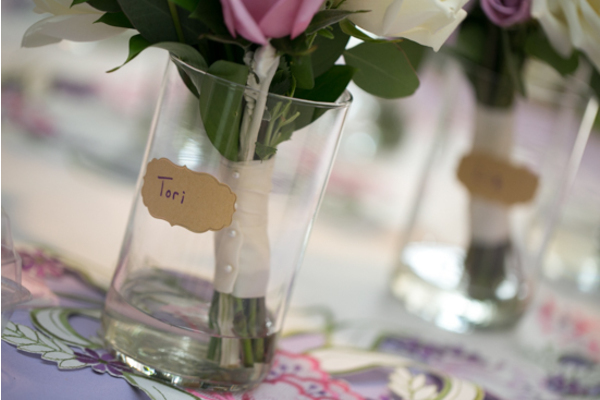 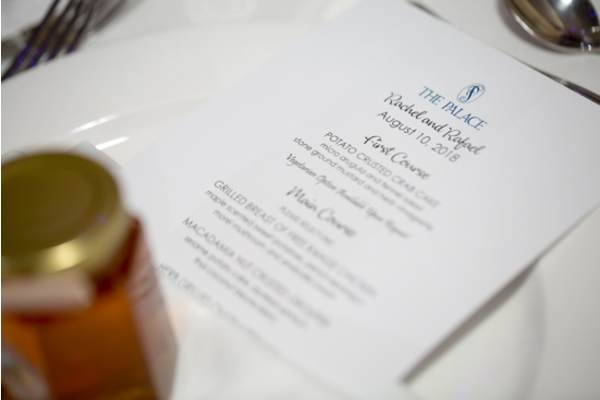 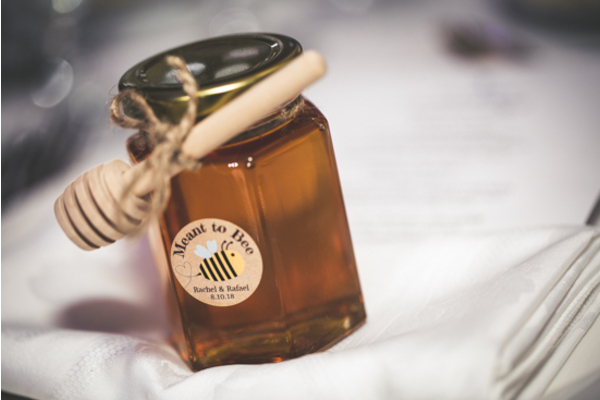 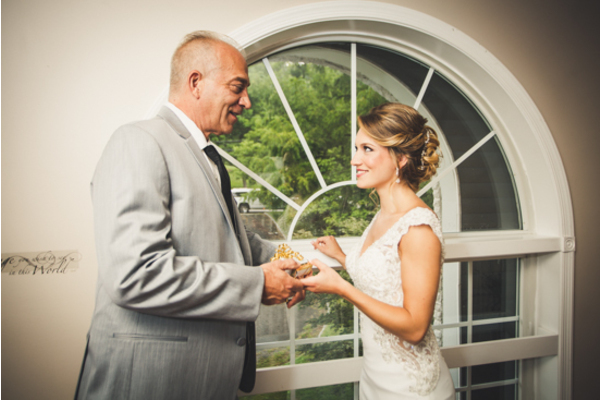 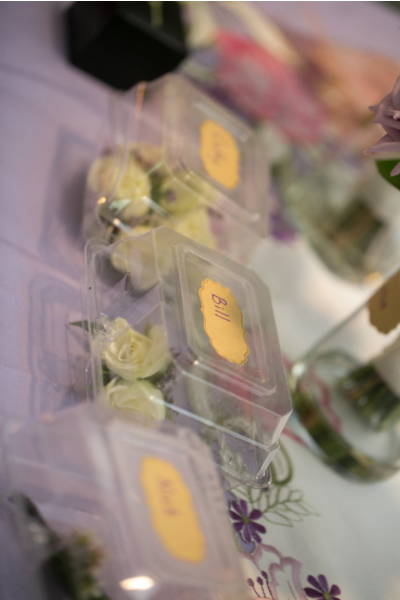 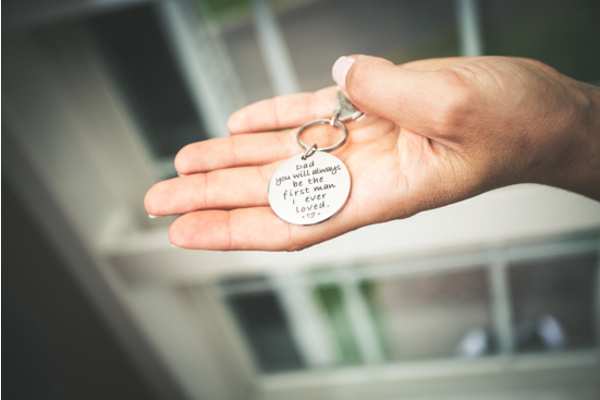 Rachel and Rafael offered a jar of honey that read, “meant to bee” upon it for their wedding favor! 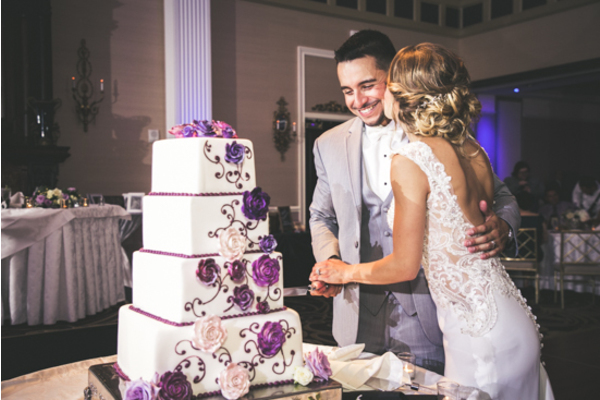 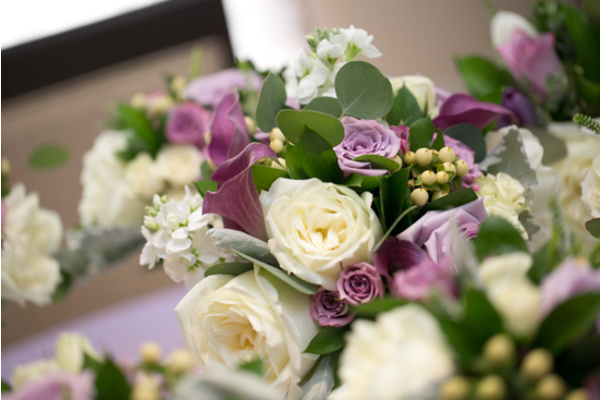 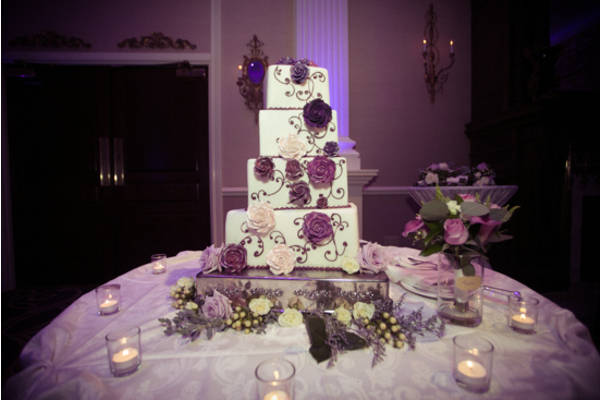 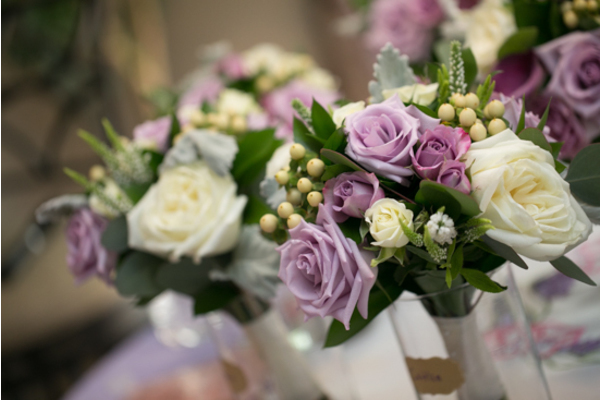 The purple rose wedding cake and bright purple lighting added to the beauty of the room!